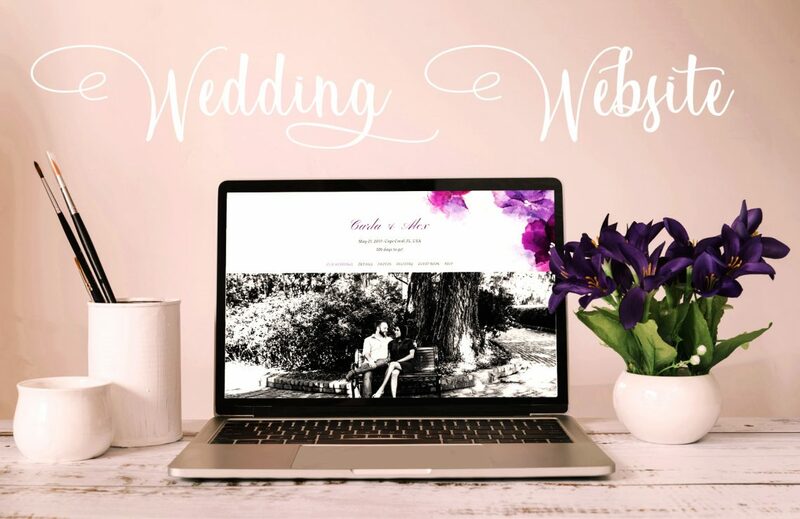 It is always more common that bride and groom decide to create their own wedding websites, with their beautiful pics from the pre-wedding session (where are super dressed-up and made-up), information on the date and venues of the wedding ceremony and reception, dresscode options (if any) and much more. 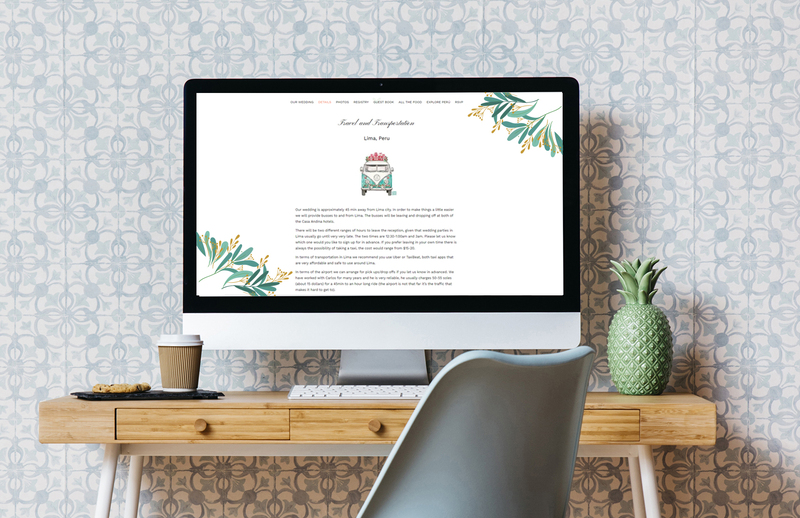 Many of our couples opt for setting their own wedding website and we always gave them some tips on what to include, considering that it is a pretty good way to spread information and tips around for their wedding guests. 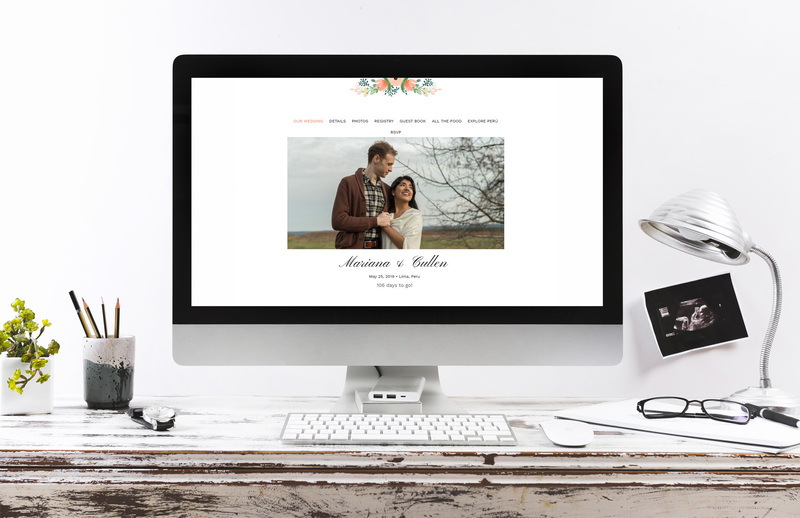 But what are the must-have information to include on your wedding website? Here a list of essential things you cannot forget! Basic Wedding information: this is related to where and when you are going to get married. 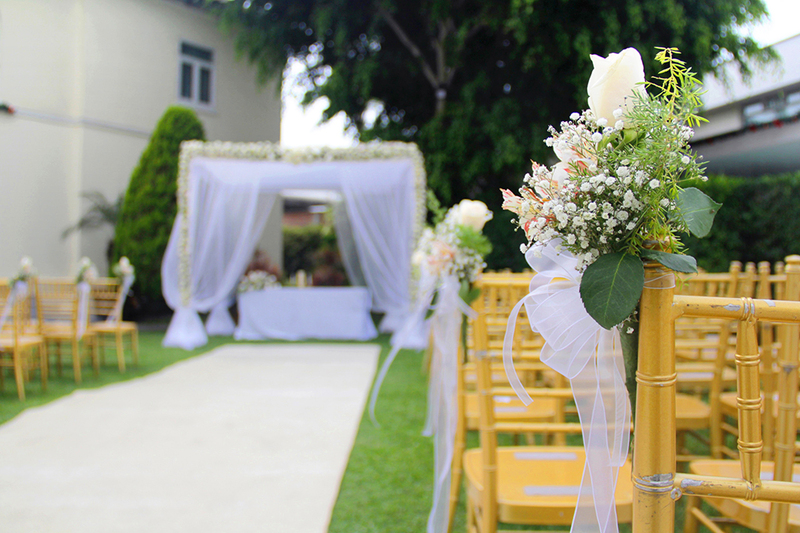 In case of religious weddings or civil weddings usually there are two different venues, one for the ceremony and the other for the reception, so make sure to include all the addresses, the times, the date and include a little map for your guests to reach the venues. 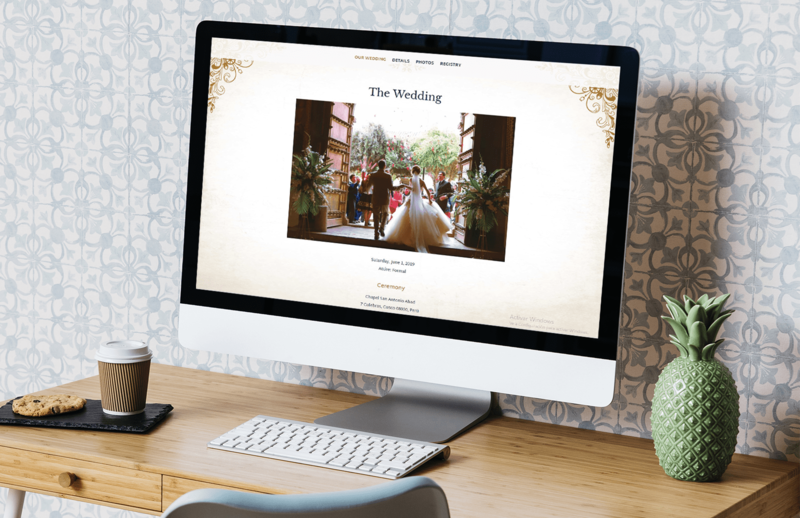 A practical thing you can do is to upload to your website a scanned copy of your wedding invitation with all these useful details. Logistic information: this is related to where to park your car if your guests are getting to the venue by theirselves, or transportation information if you are planning to arrange transportation for your wedding guests. Usually bride and groom opt for buses leaving at different hours (perhaps every half an hour) from the same departure point, so make sure to add the bus schedule and departure point exact address as well. These are relevant information especially for destination weddings; imagin that your guests are going to travel to a foreign country and they do not have a clue on how to reach the wedding venue, so be clear on this and explain them in the easiest way possible how to get to the wedding. This way they will not feel lost in a new country. Your Story: don’t be too long-winded on this, try to explain how you two met, some relevant moments of your lovestory and your upcoming projects as a couple. People usually do not focus on this. 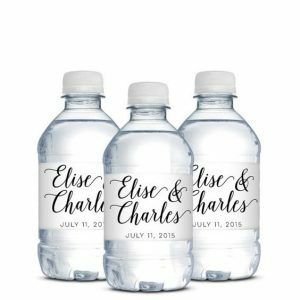 Registry: it would be very useful to include information on that, so provide the link to the online registry so that your guests can start looking into gift options. 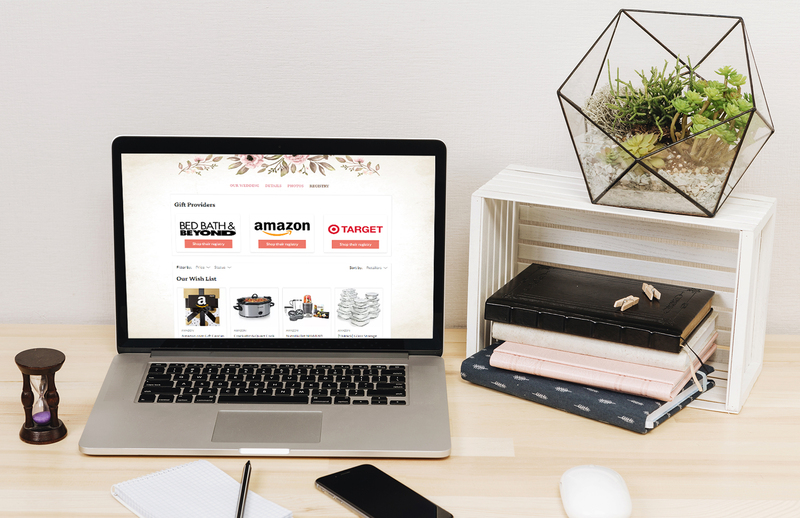 Sometimes buying wedding presents could be too much hassle for the guests, and sharing a link online make everything easier. This way they can easily buy a present for you online and you can go pick it up or get it delivered! 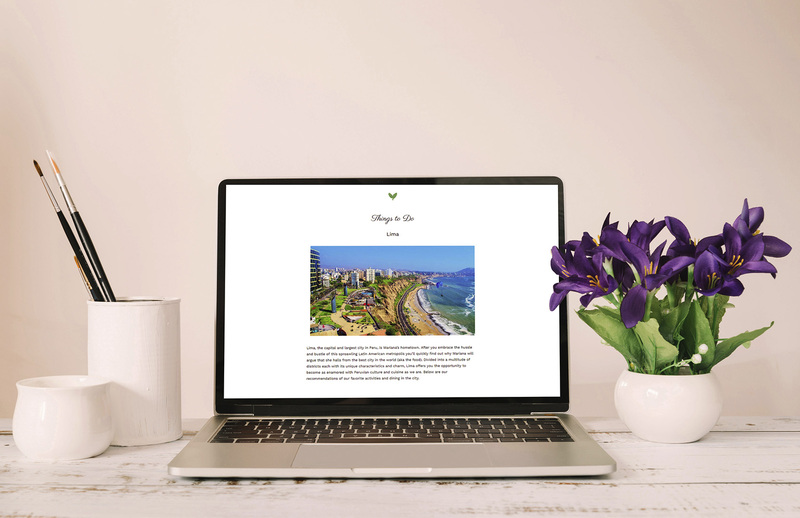 Guests Travel information: if you are planning a destination wedding is essential to include in your website proposed itineraries, considering that your guests would love to explore the foreign country. The couples we work with usually opt to include details travel packages with prices, hotels options and tours for their guests, and of course we take care of all the guets travels arrangements, so they do not need to worry about it. Guests have to travel for your wedding, and obviously they want to visit the must-seen sites after or before the big event. Also, include information on hotels and rooms blocking, it would be easier for you to have your guests accommodated in the same hotels, or at least in different hotels but in the same area. This make things easier for pick-up and drop-off issues or tours arrangements. Upload a list of restaurants recommandations, bars, shopping malls and local markets, things to do in the city and around as well. 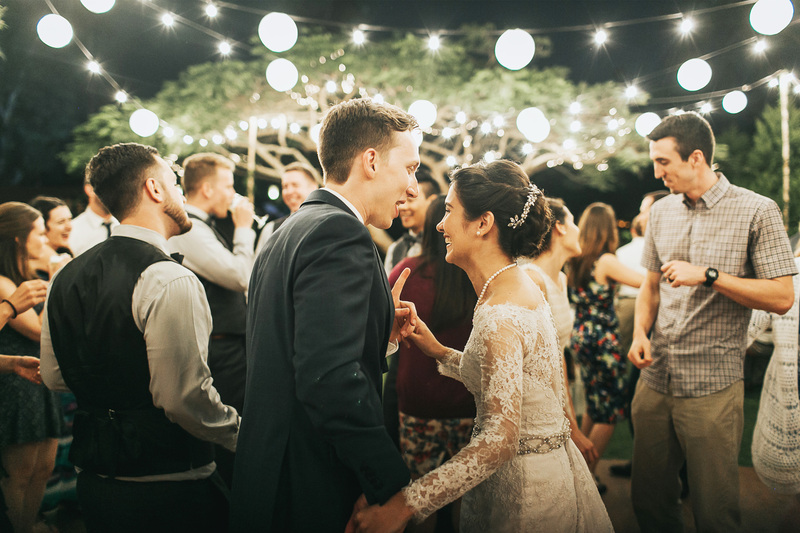 List of activities: sometimes bride and groom plan activities during their wedding week, such as rehearsal dinner, cooking classes, special dinners or lunches, cocktail nights, picnic, it really depends on bride and groom preferences and interests and the guests they have. 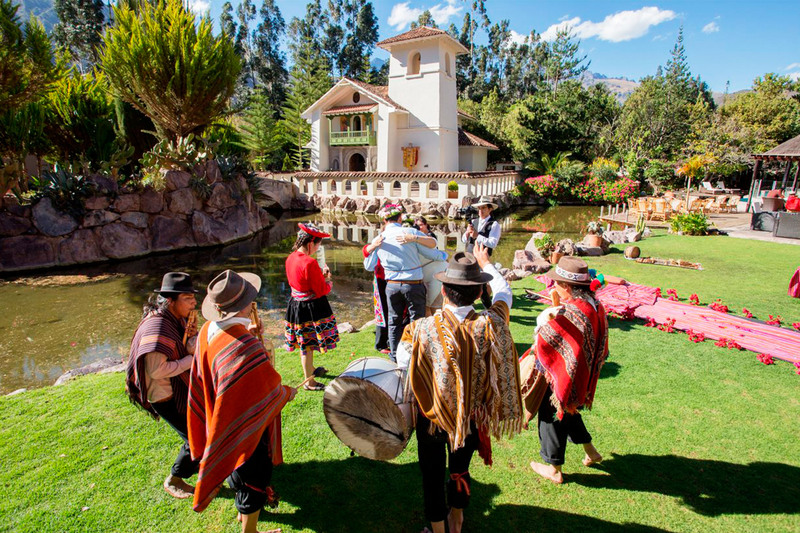 We usually suggest different kind of activities in Peru: Peruvian cooking classes, outdoor picnics (depending on the season), folkloric shows, Pisco tastings and cocktail nights. 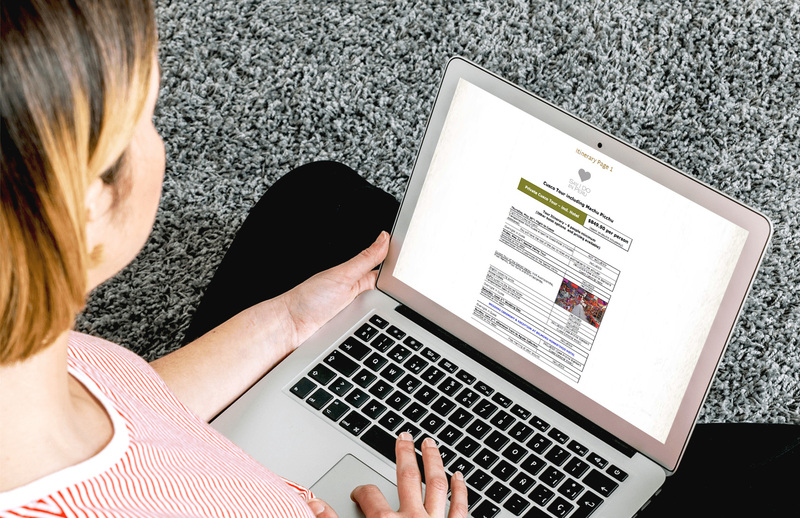 RSVP form: this is very useful, considering that will help you monitoring the number of your guests and make the necessary changes with the wedding vendors. It’s a good way to track the magnitude of your wedding celebration. So try to be self-explanatory in all the information you provide on your website, this way you will avoid tons of messages and emails from your guests asking questions such as: “Where are you getting married?”, “How do I reach the wedding venue?”, “What am I suppose to wear for the wedding?”, “Where can I stay during your wedding week?, Any accommodation suggestions?”, and much more! 2018 has been a great year for us, actually a very busy one! 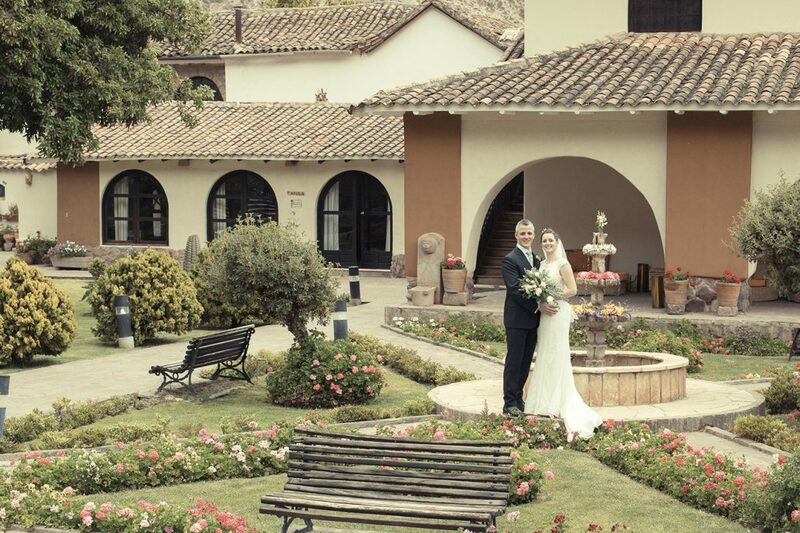 We planned many destination weddings and elopements in Peru’s main destinations, such as Cusco, Sacred Valley and Lima. 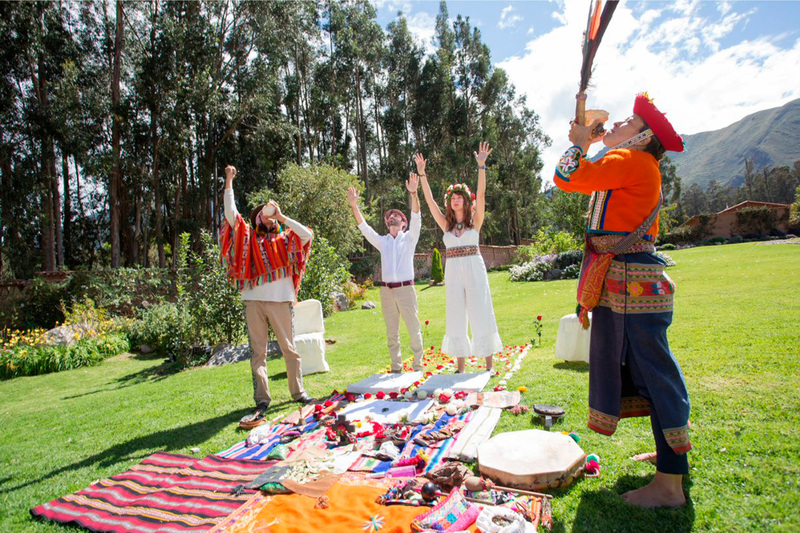 We had the opportunity to be part of amazing wedding celebrations, rustic, classic and boho weddings, romantic wedding proposals, charming elopements and Andean ceremonies in the mystic atmosphere of the Sacred Valley. We experienced the very essence of love and we are extremely grateful to the couples who chose us as wedding coordinators. 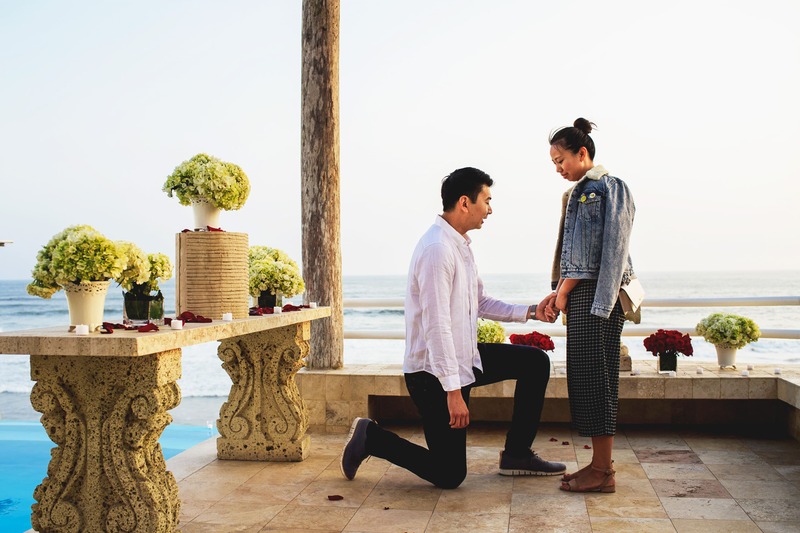 We were also part of an emotional wedding proposal this year, this kind of events are quite new for us, but this year we started planning Peru wedding proposals as well and we are very happy about this new chapter. 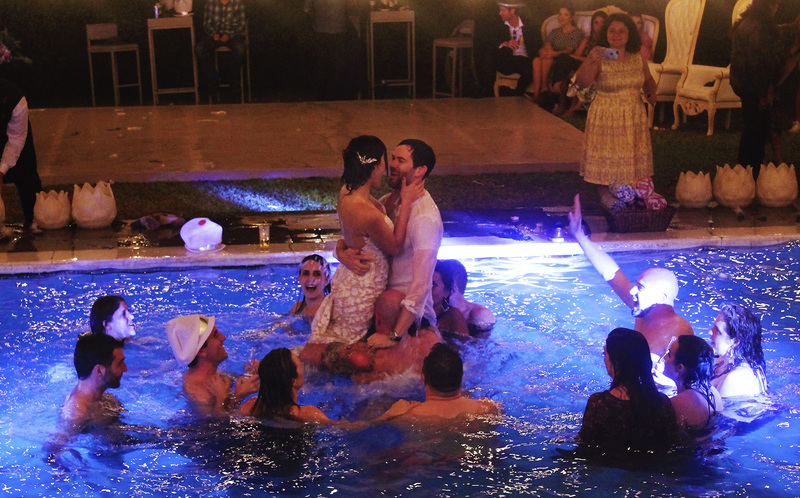 This wedding proposal was held in an amazing beach house at south of Peru’s capital city. 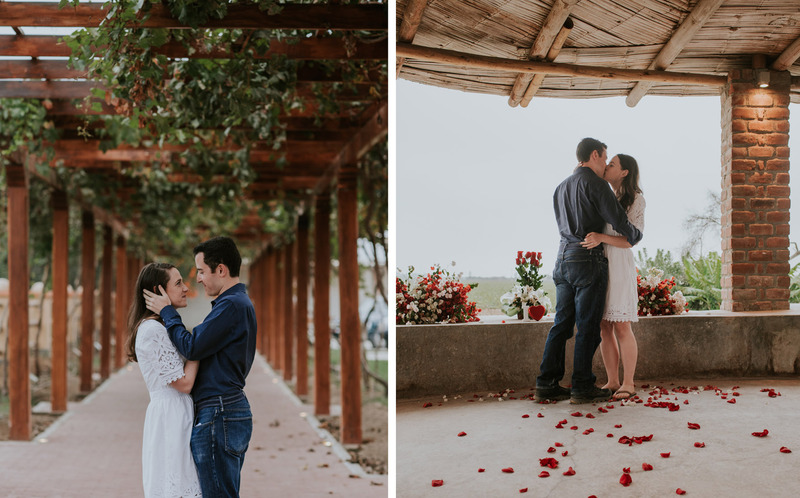 The atmosphere we created was extremely romantic, with a path of red and white rose petals that brought the couple to a beautiful oceanfront patio, where the actual proposal happened. Of course there was a live music soundtrack, with a singer and an acoustic guitar and a small catering service with champaign for the toast. 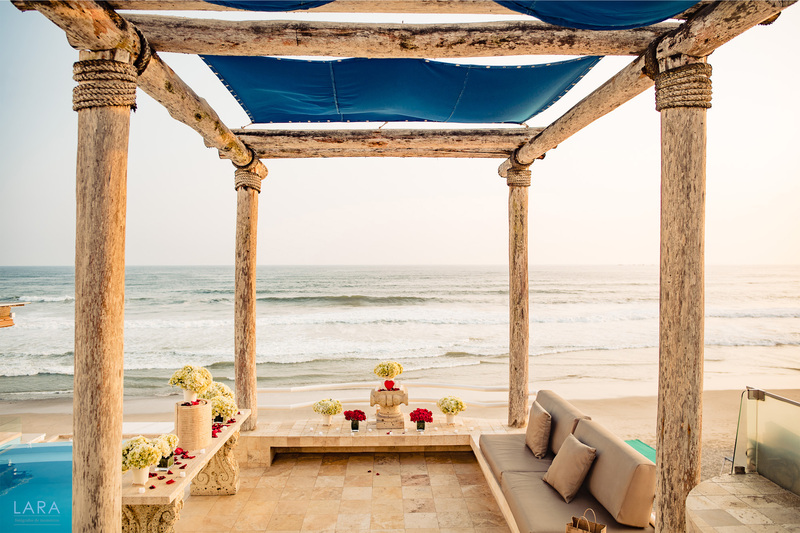 Nothing better than a romantic beachfront wedding proposal! 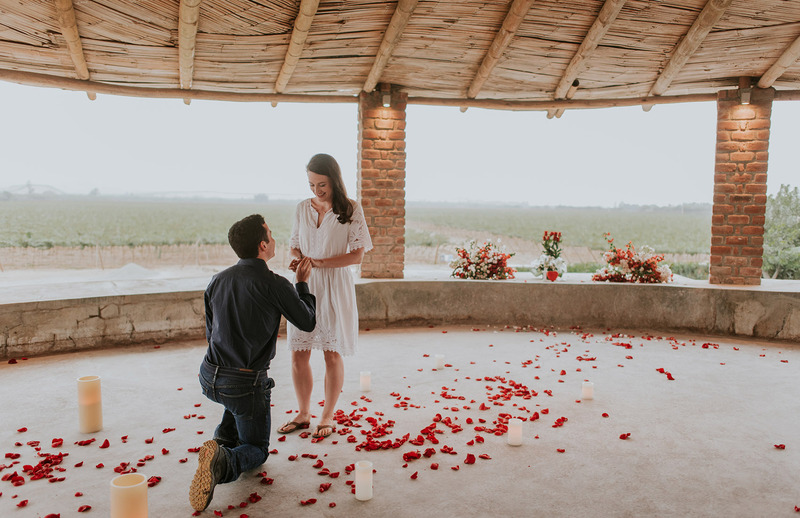 We kept organizing wedding proposal this year, we had another one in a suggestive vineyard, located in the central area of Peru, few hours south of Lima, in Ica region. The couple loved wines and the husband to be really wanted to find an evocative place with a beautiful landscape to get engaged, so the Vineyard was the perfect spot for them. We loved being part of this event! 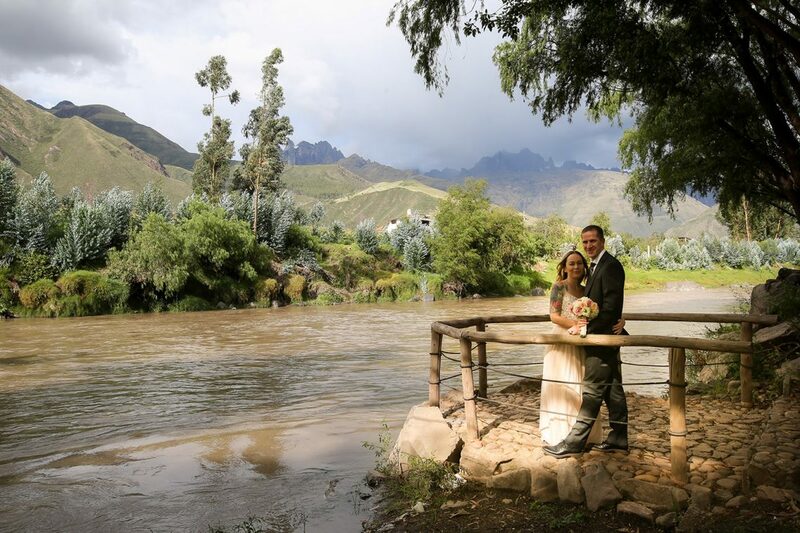 One of the main destination for weddings in Peru is obviously the Sacred Valley, a charming and mystic place where you can breath the real essence of Peru. We had a Jewish destination wedding there in july with amazing decoration. The venue is literally merged into the wild nature of the valley, saying beautiful doesn’t give justice to the magnificence of the landscape we enjoyed there. Decorations were really elegant and classic, the huppah was decorated with white flowers and white fabric on the top, bridesmaids chose elegant burgundy dresses for the occasion. The colors white and burgundy really matched well together. For the cocktail area the couple opted for a beautiful refreshments table with Peruvian traditional details, hanging lanterns with flowers decorations, a wooden bar and live Andean music band as soundtrack. Also for the reception the burgundy color was a must have, just have a look at the flower centerpieces, they were amazing, a touch of color under the beautiful and immacolate tent. The bar chosen was amazing as well. 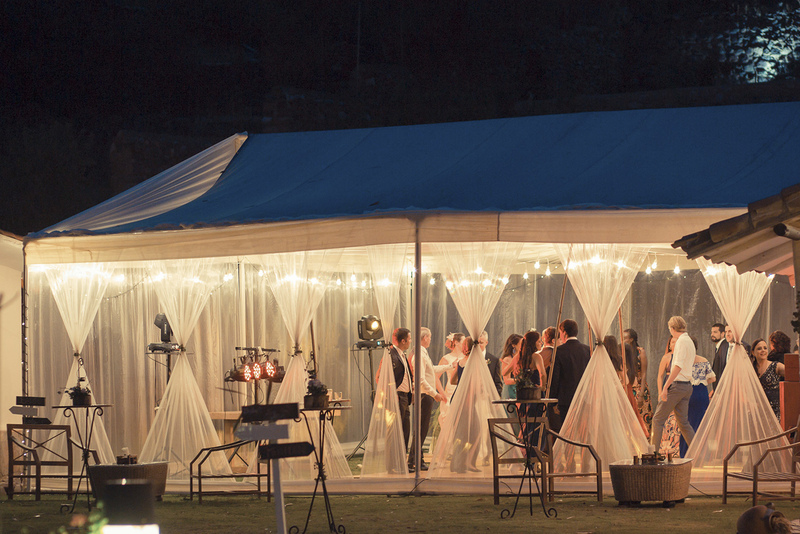 The reception was held under an elegant white tent, with a big chandellier at the center. Everything was definitely on point. 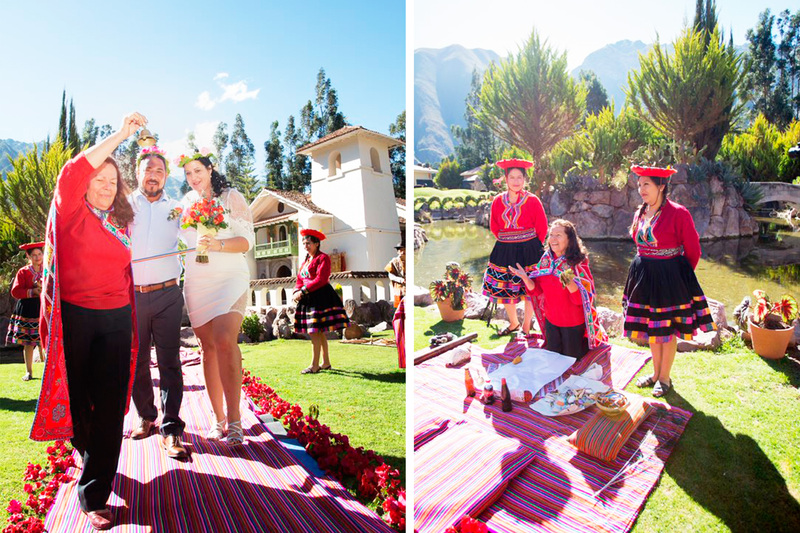 In july we had another charming wedding in the Sacred Valley, this time it was an intimate Andean ceremony under a very clear blue sky. 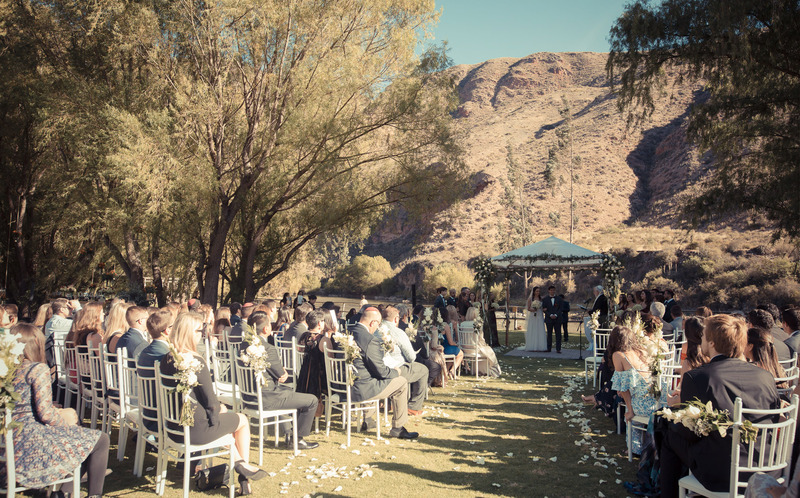 The ceremony background was amazing, the Andes chain really creates a stunning scenary, perfect for amazing wedding photos. 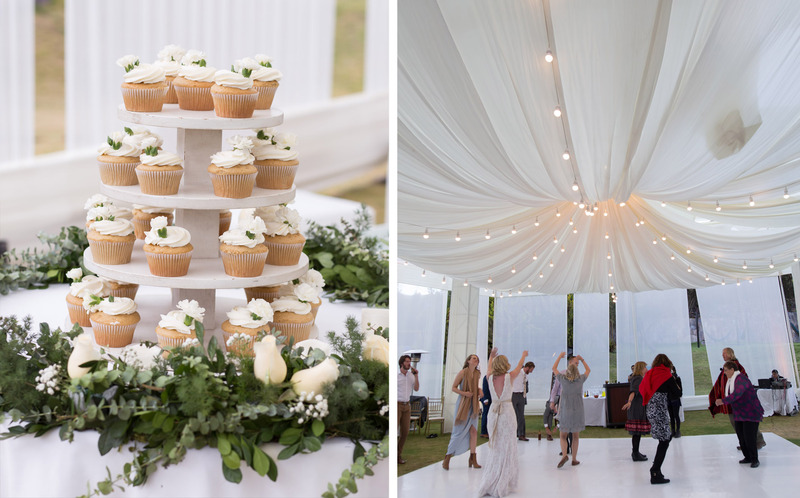 We loved the lighting of the tent, the wedding cake made of cupcakes (this was a very original choice) and the elegant flower decorations. 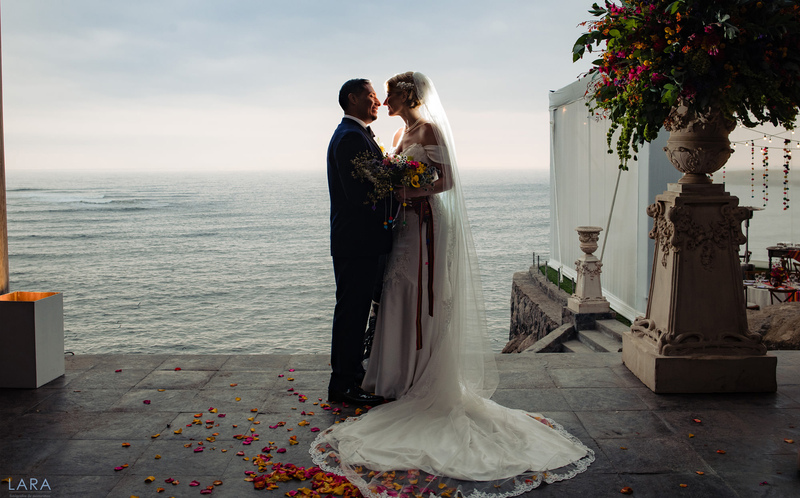 We closed the year with a traditional Peruvian destination wedding in an oceanfront villa nearby Lima. 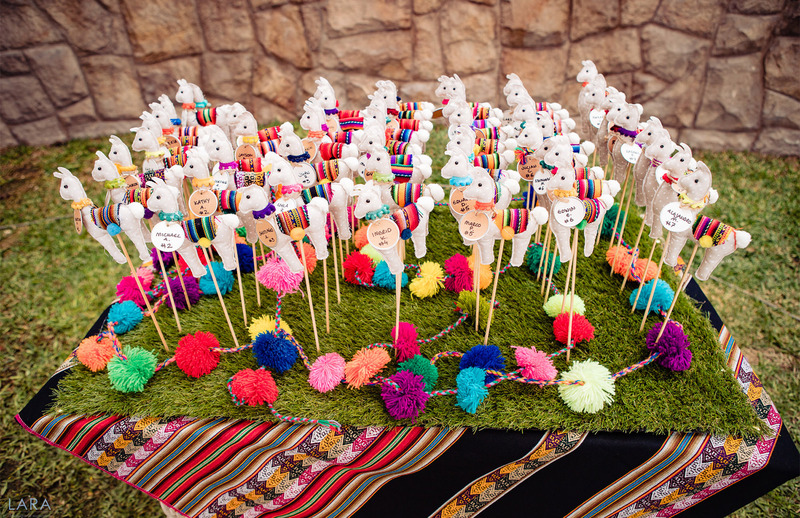 The couple opted for traditional Peruvian decorations, with Peruvian fabrics, colourful flower arrangements, little llamas decorations, Peruvian-style embroidered tote bags as guests favors, a traditional “turron de doña pepa” cake. All the decoration details were amazing! 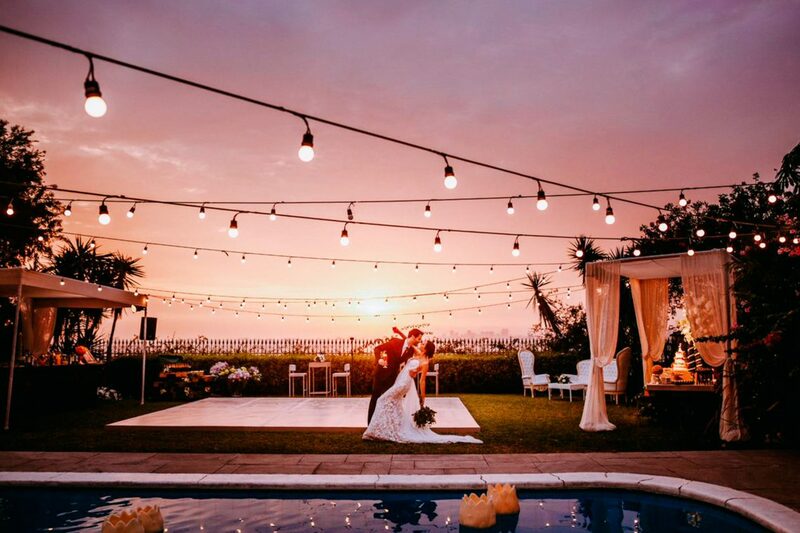 The venue was actually one of our favourite venues, a Romane empire style villa located on a cliff overlooking the Pacific Ocean, you basically get married merged in the Ocean breeze and in a classic atmosphere. I can ensure you that the feeling of getting married there is amazing. Those are just few of the celebrations of love we planned this year, there were much more weddings, elopements and unbelievable emotions we lived. We are deeply grateful for our job and we hope our couples will charish everlasting memories of their wedding celebrations. However, we need to go back to reality now, since we have to get ready for this 2019 wedding season, which is already full of new destination wedding adventures, new venues to be discovered, new couples to meet and much more. This year we have to cope with a lot of planning and coordination work as well to make our couples wedding dreams come true, and we cannot wait for it! 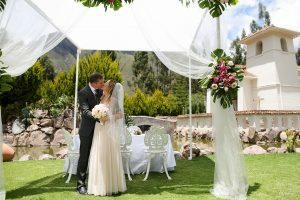 Why Should I Get Married In Cusco? 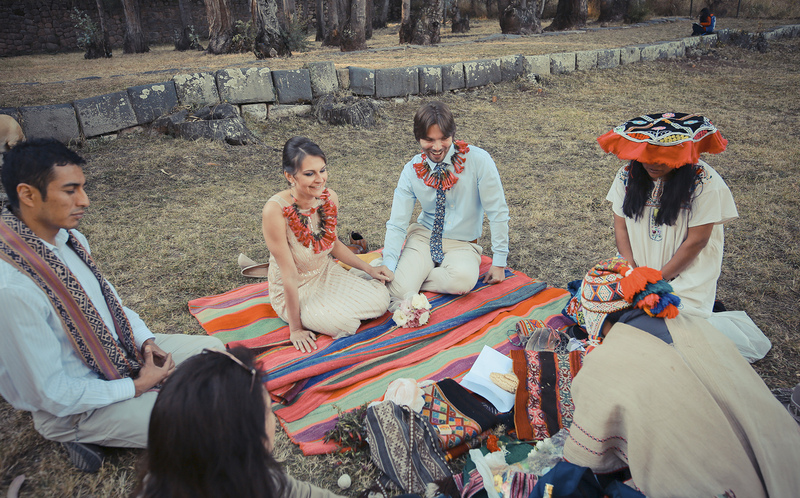 Couples who decide to get married in Peru always have many questions since it is highly probable that they do not the country at all or at least one of them has never been to Peru. 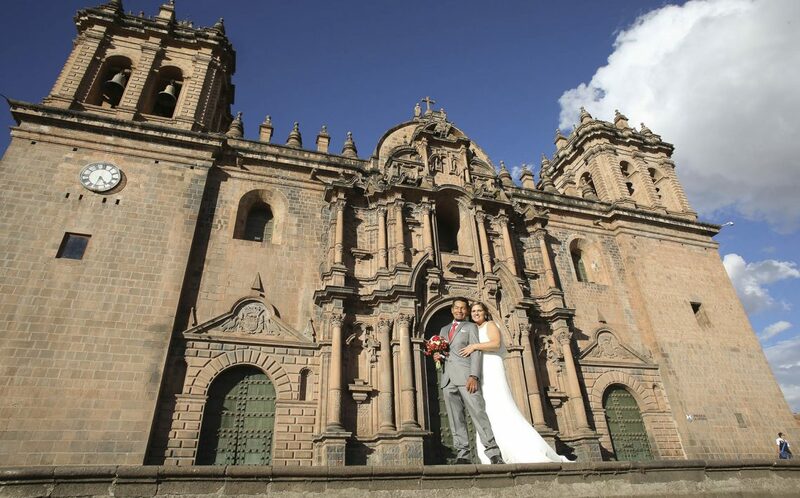 One of the main questions is “what are the real advantages of getting married in Cusco?”… Well the answer is easy: it is one of the best and most charming places in the world!!! 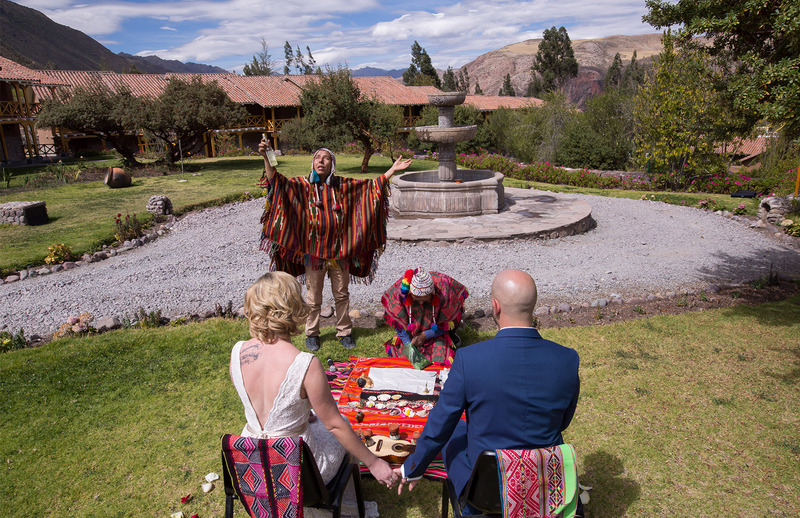 Hihihihihi I know this sounds quite reductive and biased, so I will try to elaborate a little bit my idea giving you a list of pros about getting married in Cusco. 1. First of all you have to consider the city itself. Cusco is a charming city in the southern region of Peru, in few words we could say that you can breathe the very essence of Peru there! 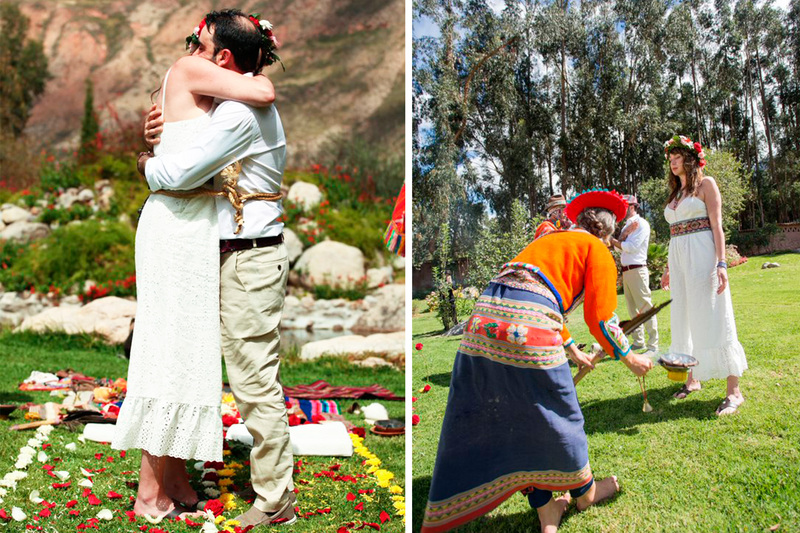 Getting married in Cusco basically means having the real Peru destination wedding! 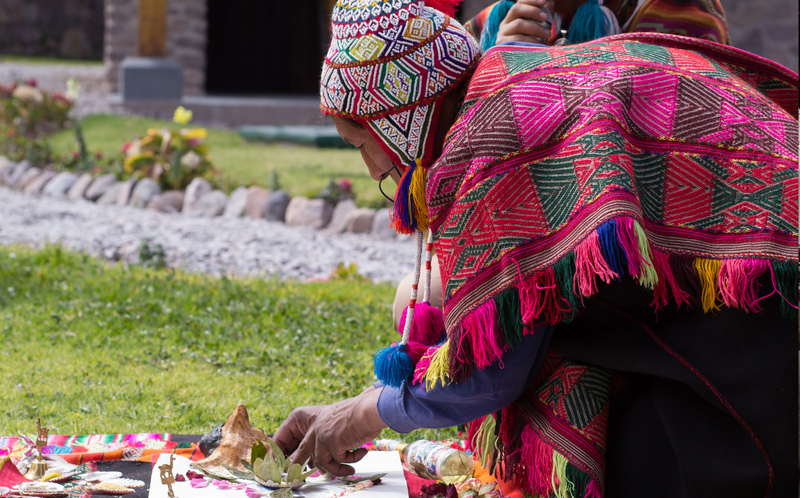 Walking in the street you can find around the corner a traditional woman with a baby alpaca in her hands, a man in traditional clothes playing the pan flute, or an old lady selling coca leaves right across the street. 2. You will have beautiful wedding photos. 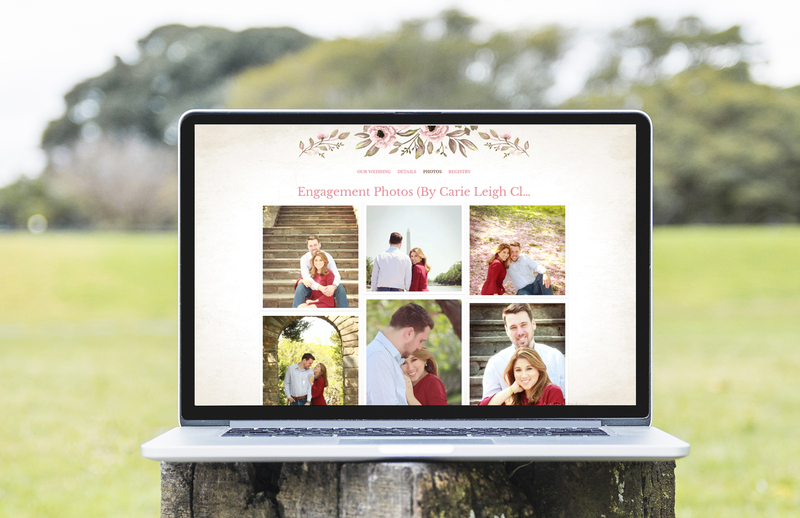 I can guarantee that your pre-wedding pics and post-ceremony sessions will be amazing. You can have a beautiful photo right in front of Cusco’s cathedral in the main square, you can also have photos in Sacsayhuaman, I think you should ask for a special permit for that, but still … you can do it! The sky in Cusco is sooo blue, with beautiful clouds and the sunlight is perfect for taking photos. 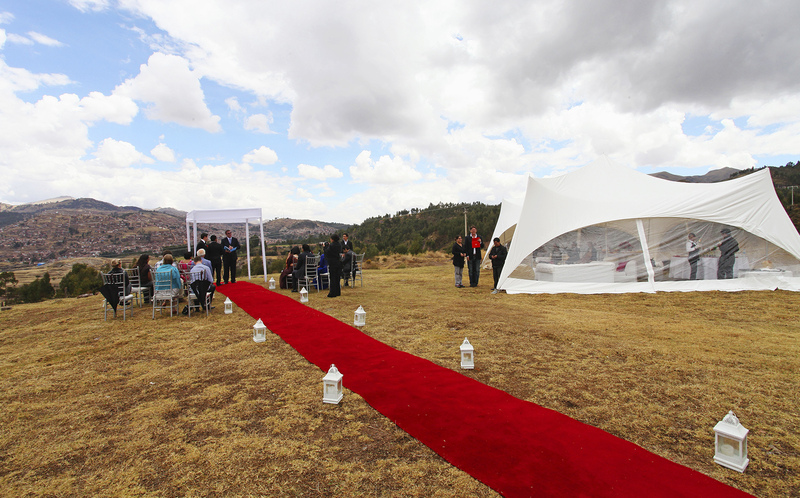 So if the wedding photography item is very important for you, Cusco is definitely the option. 3. 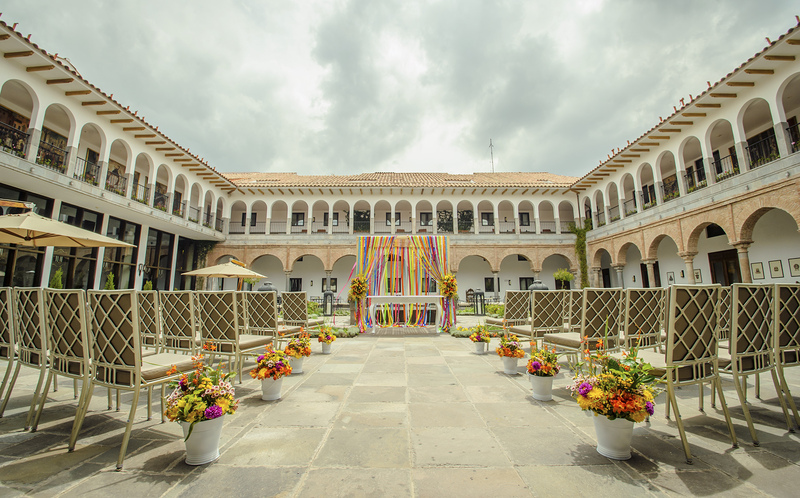 If you are thinking about a destination wedding in Peru I think you are expecting your wedding guests to come over and attend the celebration. I am pretty sure that when you announce your wedding in Peru our guests will be very happy, considering that this will be an opportunity to travel to one of the best travel destination ever. Peru has always been a touristic destination for travel lovers, who have dreamed about hiking Machu Picchu, walking around Cusco’s archeologic sites or sipping a coca tea to prevent altitude sickness. So your wedding will be the perfect occasion for them. 4. There is Machu Picchu “around the corner”. Everybody knows that if you go to Peru you cannot miss Machu Picchu, the ancient Inca citadel located in the Urubamba river Valley at about 80 kilometres from Cusco. So, Cusco is the place to be if you want to visit Machu Picchu, you have to take a train which must be booked in advance and do a bit of logistic coordination (That’s another topic that deserves another article for sure), but still is the closest and most convenient place to reach Machu Picchu. 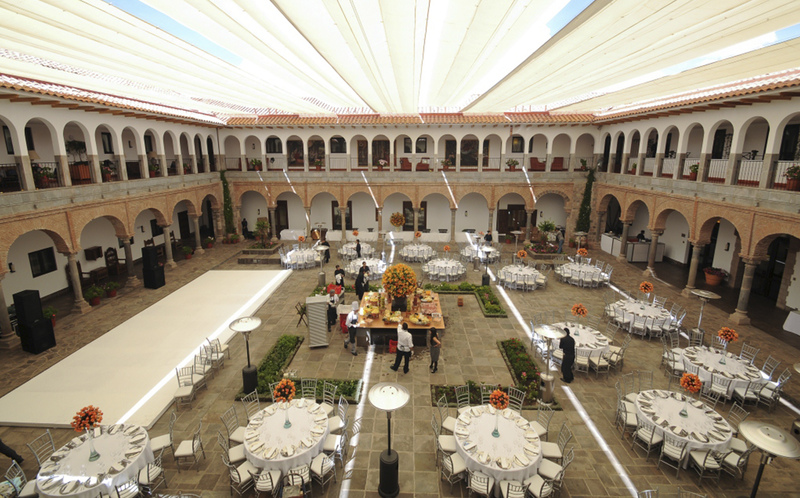 If you want to make sure that your guests attend your wedding celebration abroad, then choose Cusco. 5. 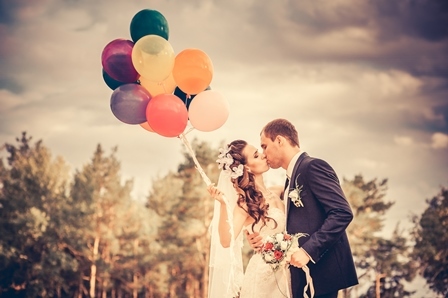 Money money money…that’s always the big issue when it comes to wedding planning. 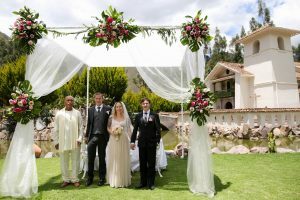 If you opt for getting married in Cusco your budget will significantly decrease, compared on getting married in the United States or in one of the other wedding destinations, such as the Bahamas, the Barbados, Jamaica or the Mexican coast. 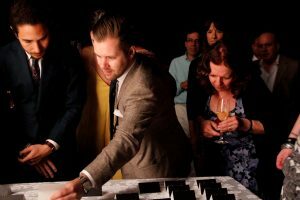 I noticed myself the difference while I was doing a bit of research on catering and decoration suppliers in the United States and Bahamas for my wedding. 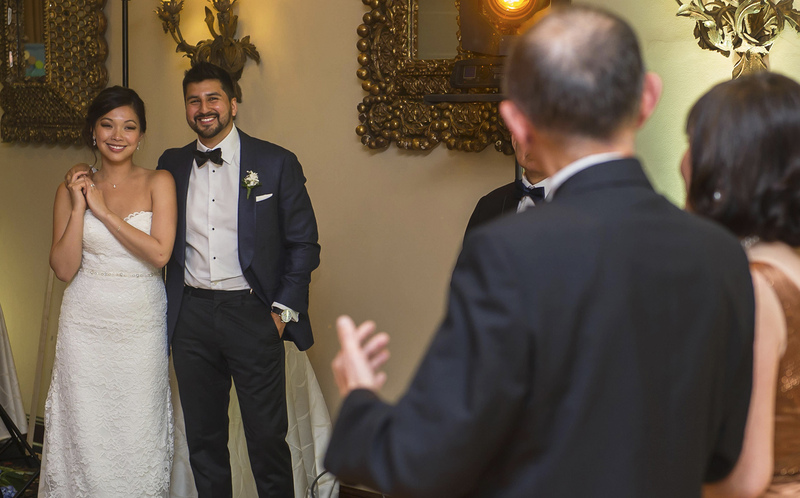 I can ensure you can plan the wedding of your dreams with a much lower budget than the one the same wedding could cost in the United States, Italy, France or another famous wedding destination. I think this is an enormous and important pro to consider. 6. 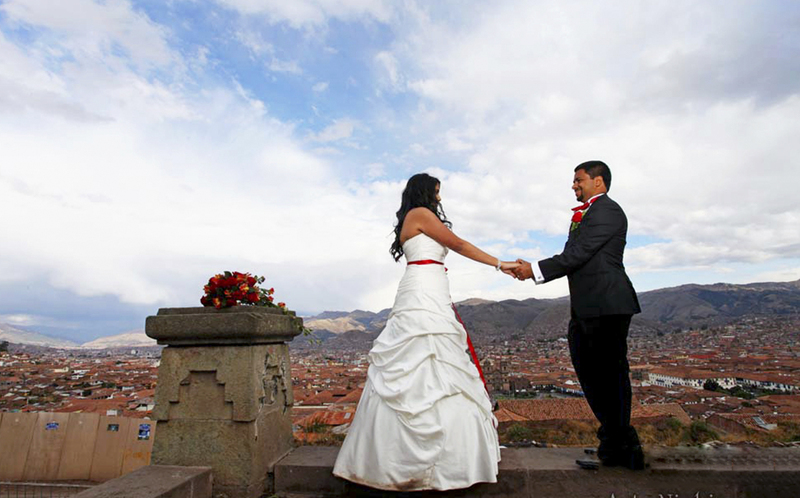 Cusco is one of the most famous wedding destinations in Peru, also Peruvians love to get married there. Therefore, the great advantage is that local suppliers are extremely experienced when it comes to wedding planning processes and they can give you precious advices, considering that they perfectly know the venues located in the area, the infrastructures, the tools to use, where to find the right materials, they know everything about the weather, etc. All of those details are very important, and the knowledge of the place is essential when it comes to problem solving skills. Local suppliers are always the best, if you like to play on the safe side! And in wedding playing on the safe side is crucial!!! So what are you waiting for? 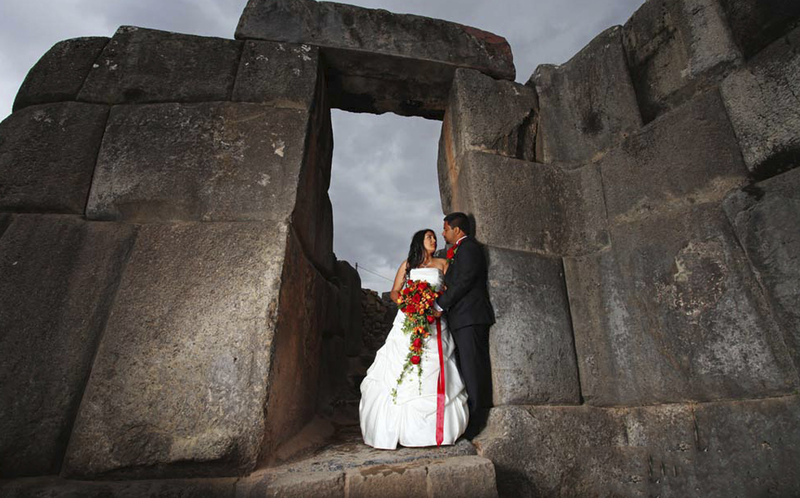 Come to Peru and get married in Cusco with us! Every year is a blessing for me, every year I met amazing couples and I helped them realizing their wedding dreams. That is why I really love my job, since I believe it is extremely meaningful. At the end of every year I try to play rewind and analyze what I’ve achieved so far! I actually found it very useful, and it is a way to start the new year with a new and enriched perspective, thanks to all the lessons learnt in the past months. 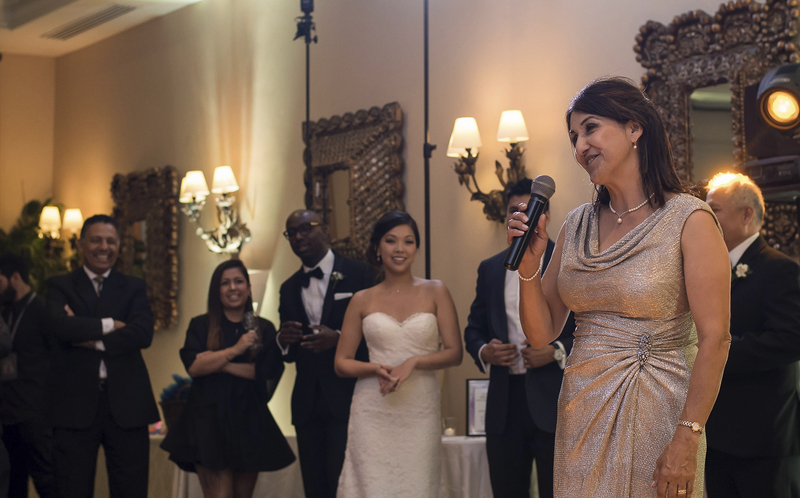 We organized several great wedding celebrations this year and I am sooooo thankful for this opportunity. Organizing a wedding is always a chance to learn something new: nobody is perfect and fully experienced guys! 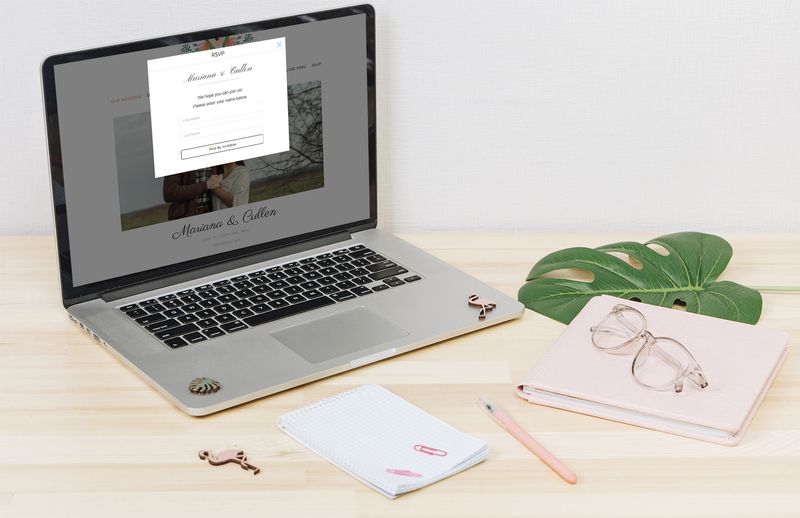 Even if I am a “control freak” when it comes to wedding planning, there is always something new and different in each and every wedding planning process. 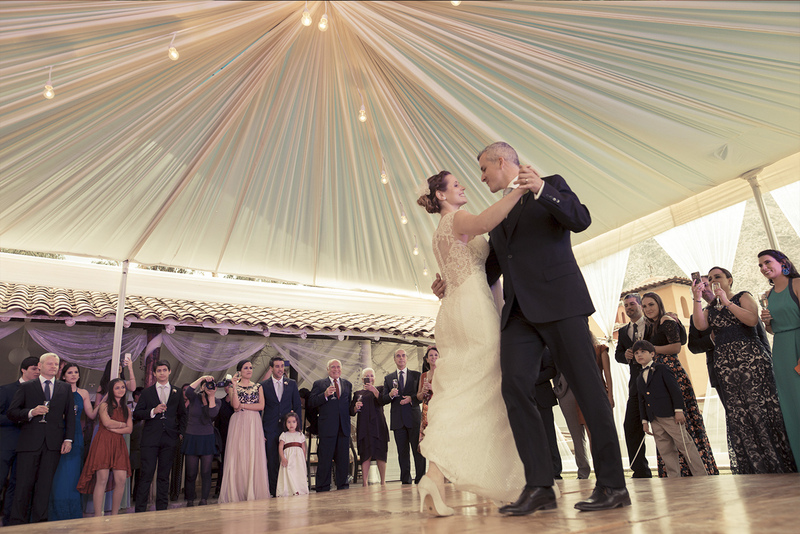 I really enjoyed organizing this wedding in Lima, which was the first wedding of the year! I loved the moment of the speeches, I found it extremely emotional and it was so nice to see how bride and groom were rounded by the love of their families and friends! Sometime giving the floor to an old friends or a parent could be very formal and cold, but this time was totally the opposite! Family members and friends did it brilliantly, they were grateful to be part of that moment, they were sincerely happy for the new marriage and it was fantastic to see how much they loved bride and groom. I admit that there was a moment in which I was almost crying, but then I put myself together and I kept working. 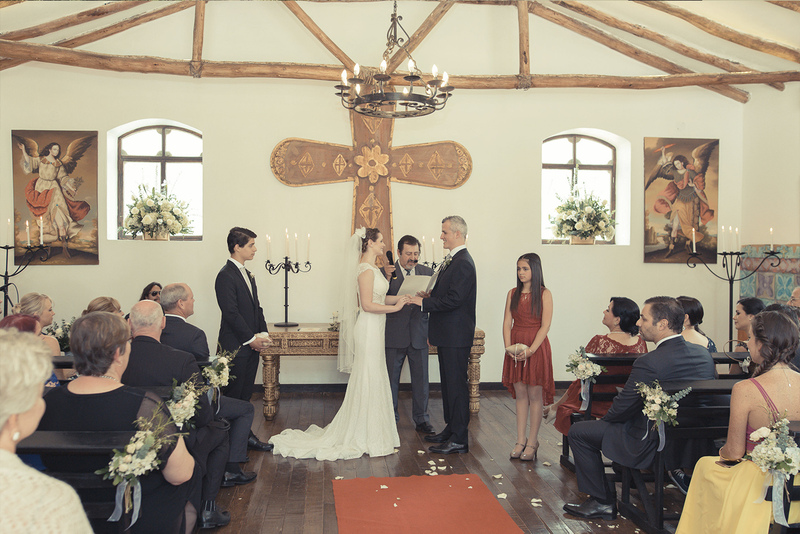 Another memorable moment of this years’ weddings was a beautiful ceremony in a charming chapel located in the heart of the Sacred Valley. The venue was outstanding and all the guests were amazed by the location. 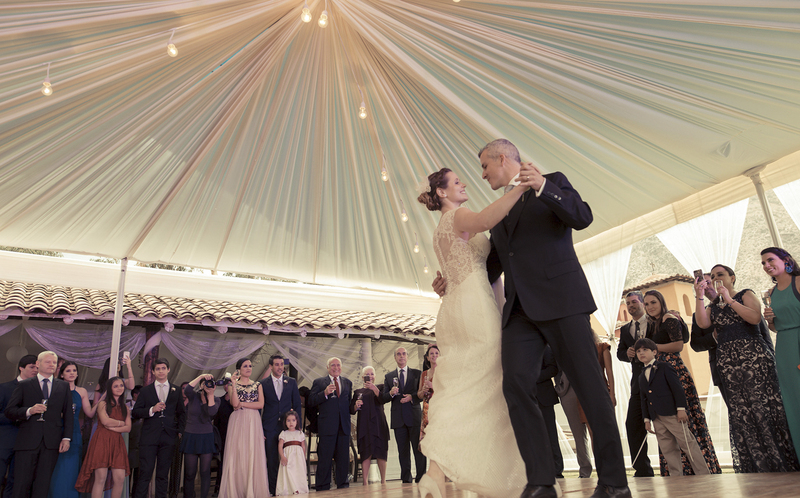 That was a perfect venue choice for the kind of wedding bride and groom were dreaming about. 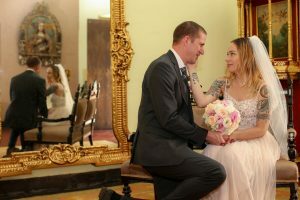 They dreamed about a rustic wedding with a boho/vintage style and the result was THE WEDDING for them and their guests! People party hard even under the rain, the atmosphere was extremely cheerful and you could breathe love all around! 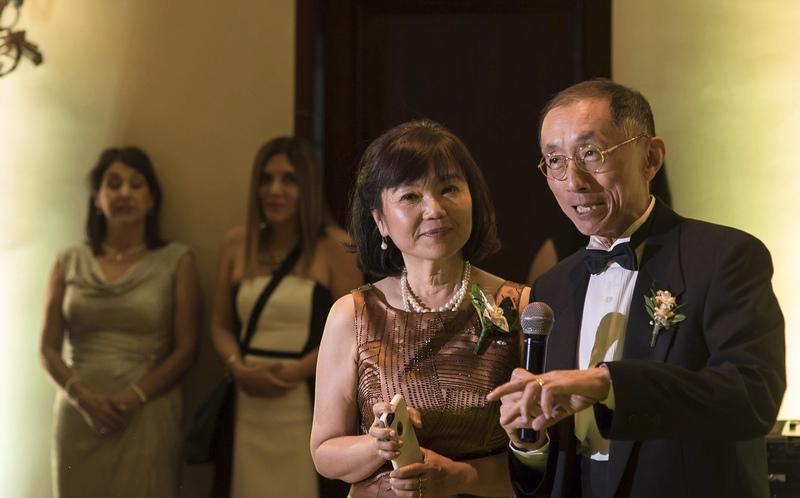 I am so grateful that the event turned out great and that all the guests enjoyed themselves. 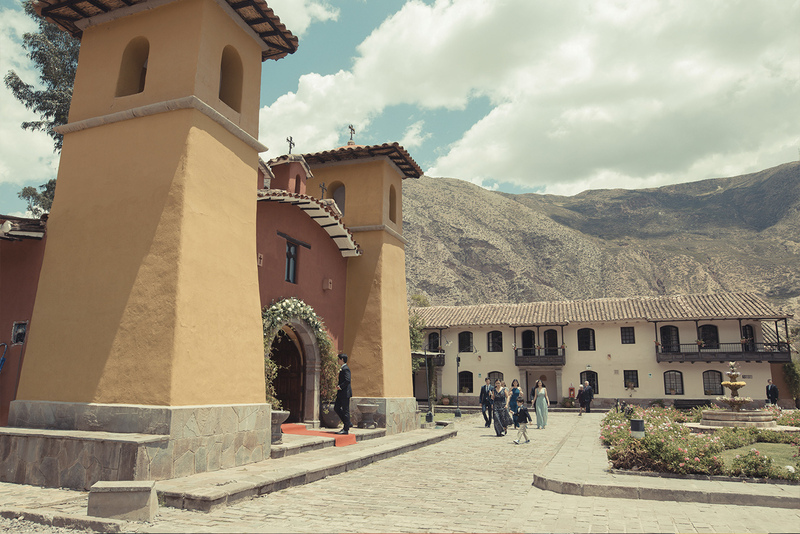 Another beautiful moment from this year weddings was an elopement in the Sacred Valley, in a private villa located in Pisac. 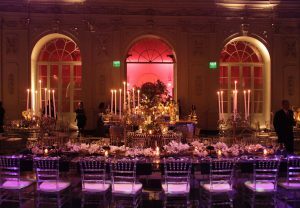 The intimate atmosphere and the simplicity of the decoration made the event unforgettable and extremely romantic. I should say that the background and the amazing landscapes really fit the main purpose of the celebration, which was celebrating love in a sophisticated and intimate way. I love elopements since they are the purest celebration of love! So now I am focusing on my 2018 weddings, I know it will be hard as always but my job is extremely rewarding and I love it! I am pretty sure I will experience other special moments this upcoming year. 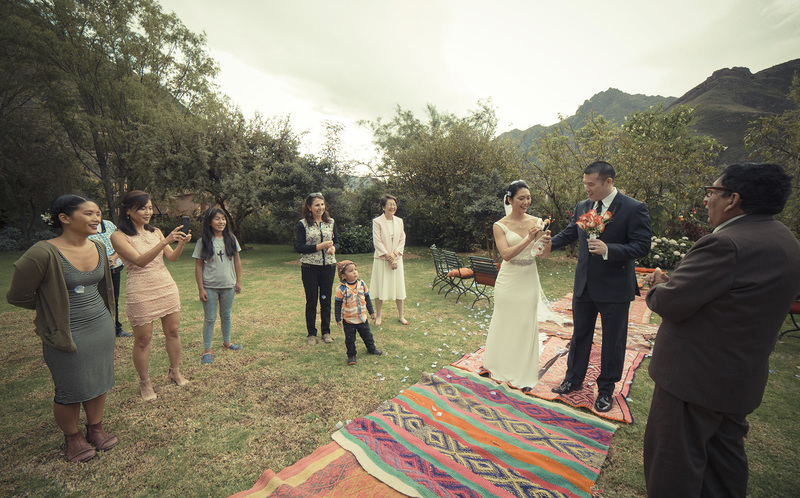 A couple of weeks ago I had the pleasure of organizing a very special wedding celebration in the heart of the Sacred Valley. 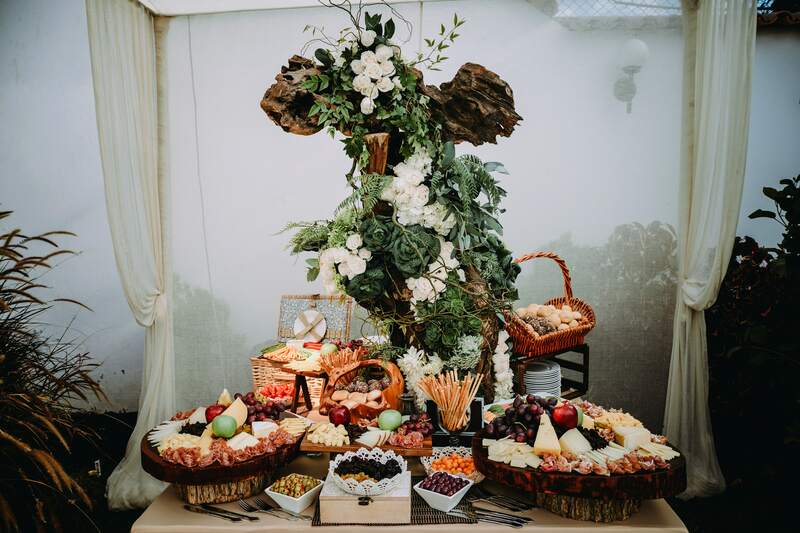 Bride and groom had a rustic wedding in mind since the very beginning of the planning process and I had so much fun putting together all the pieces of this amazing rustic-style event. 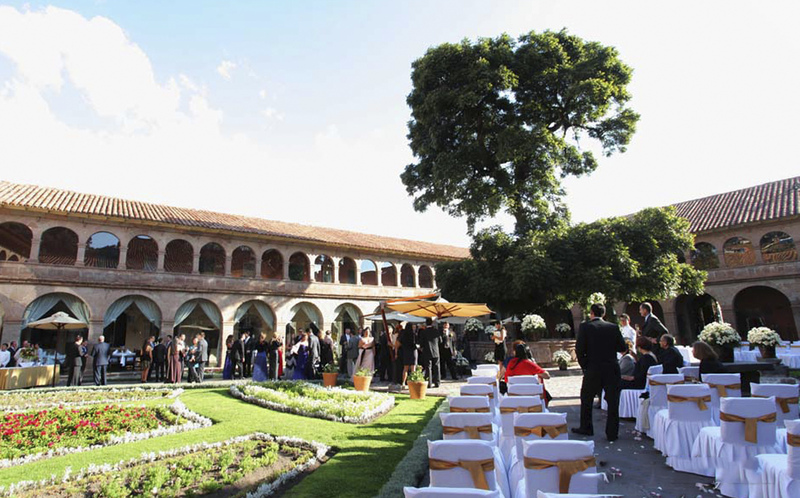 The venue chosen is conveniently located in the heart of the Valley, has a colonial architectural structure, a beautiful courtyard, a charming chapel and the stunning Andean mountains on the background. The first thought I had was: they will manage to have amazing pictures here, therefore everlasting memories of this special moment! Also after selecting the perfect venue for them (actually also for me) we started looking into all the specific details related to decorations, furnitures, bride’s bouquet, wedding cake, music, etc. All the details you should consider in the wedding planning process. 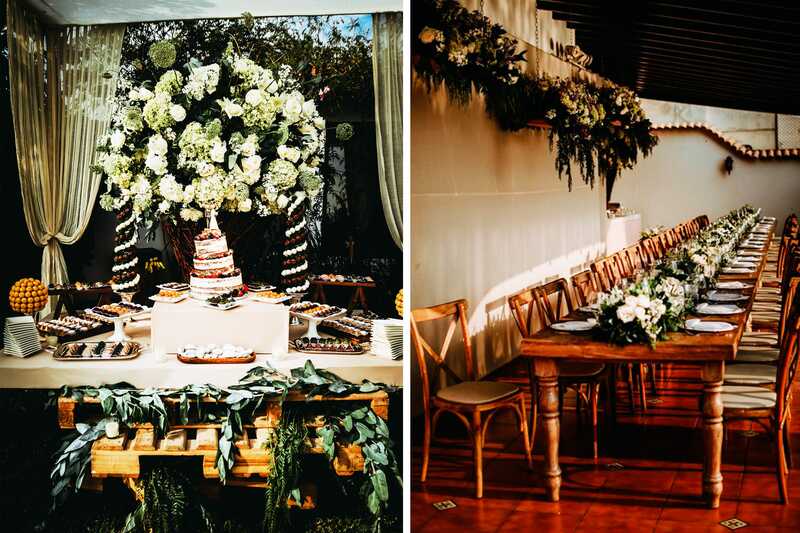 The decorations were mainly in wood, the centerpieces were amazing with foliage, white Hydrangeas, mini Chinese roses in a glass vase wrapped with twine on a wood base and white candles in little glass vases. 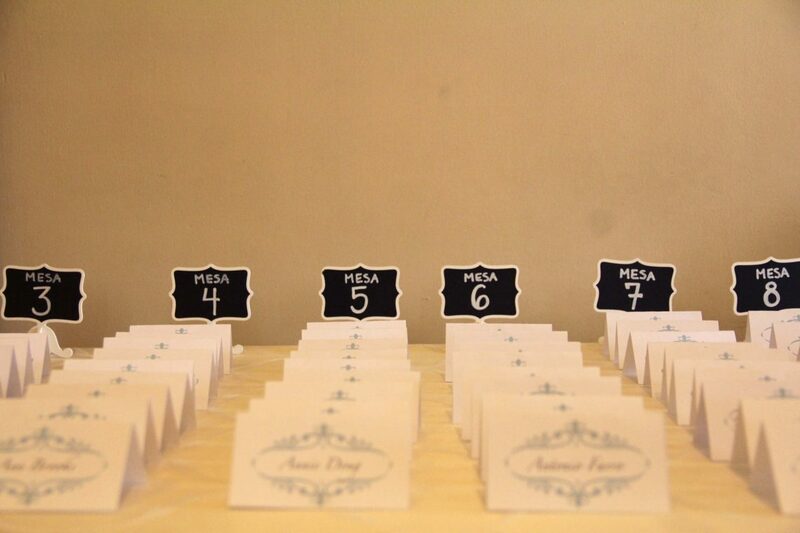 Bride and groom loved the idea of signs, so they decided to use them to point the reception area for the guest. As decorative elements we also used little slates for the bar and the welcome guests table. The tent they choose was white with rustic details in the inside mainly made of raffia and beautiful fairy lights hanging from the roof. As decoration we used an old bike and old wooden furniture. 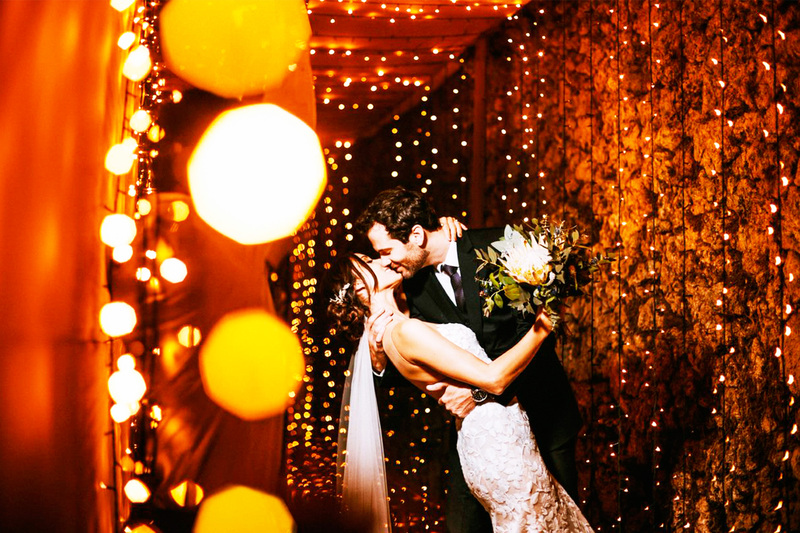 The result was an amazing atmosphere, soft and cozy lighting and elegant decorations. The bride’s bouquet was lovely! 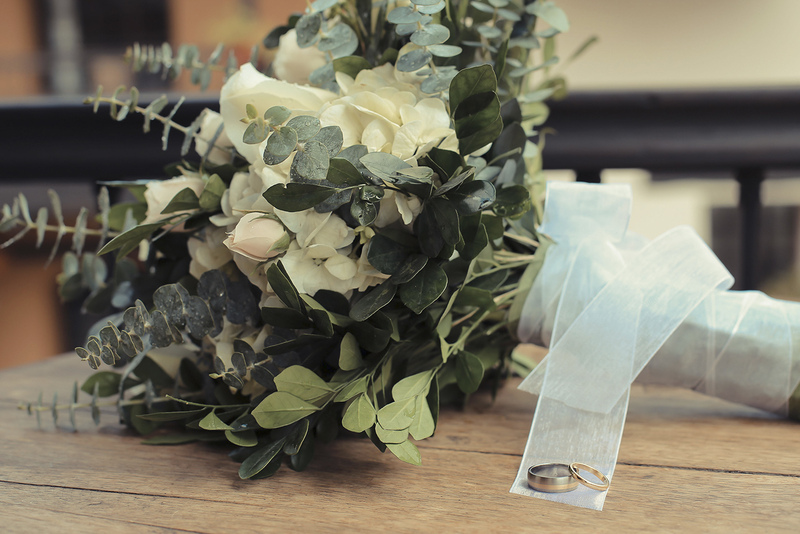 The bride opted for an airy bouquet with greenery, foliage, white roses of different sizes, all perfectly assembled. The cake was a 2-tier almond cake filled with milk chocolate cream and covered by buttercream…absolutely delicious! Also the cake was in rustic style with twigs in chocolate and topped with some greenery. 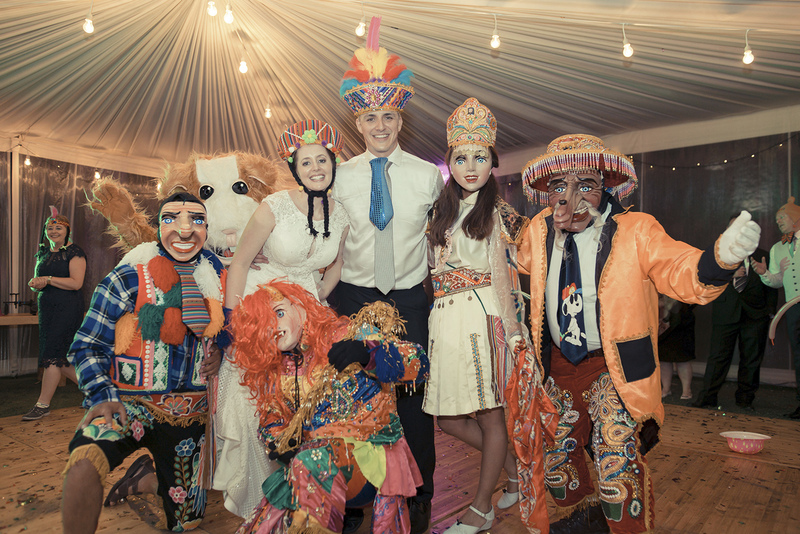 As in any traditional Peruvian wedding there was also a special time dedicated to the famous “Hora loca”. 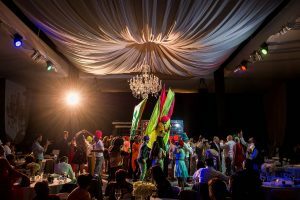 The couple chose a traditional Peruvian theme, with character from Peruvian traditions, such as the Guinea Pig, two typical Andean characters called “maqtas” and a stilt walker. Overall I really enjoyed the planning process for this wedding, looking into all the details, the decorations, the lighting, the old furniture. And the best part is that everything run smoothly that day! Bride, groom and all the guests really enjoyed their time in Peru and I am sure they went back home with some great memories and a desire of coming back to Peru soon. The combination of pastel colors and stronger tones create a perfect balance for a daring, modern and romantic bride. These tones are in line with the landscapes as we can see from the greenery used in the flowers arrangements, the pail colors of the bride’s bouquet and her dress and shoes. 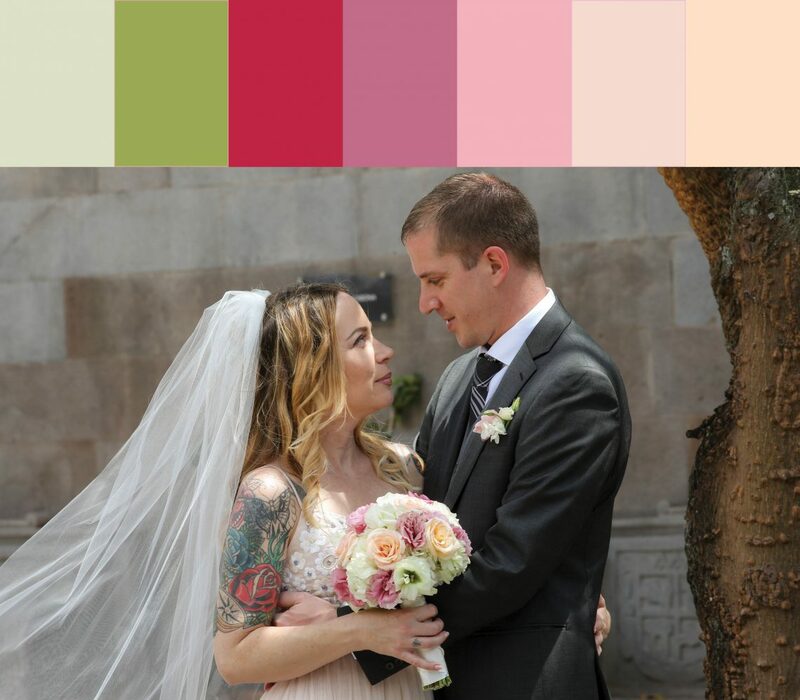 We really loved this color scheme! It is more formal than the open seating arrangement. 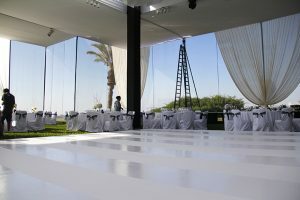 It is very useful for big weddings, since you know exactly where people will be seated and you can easily reach them. It is more organized and your guests will know exactly where to go. People will be seated on a table for a specific reason. 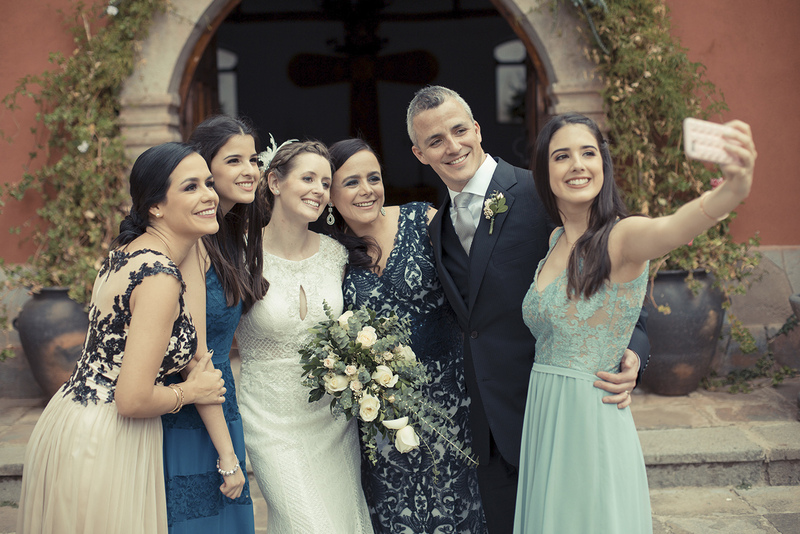 For example people of the same family, a group of friends, people of the same age, so people will feel more comfortable this way for the entire reception, since they will have things in common to talk about and they will have fun! If you are doing seated dinner and some of your guests have food allergy, are vegan, or do not eat a specific food and have selected a specific menu option with assigned seating will be easy for the waiter to know where those guests are seated. 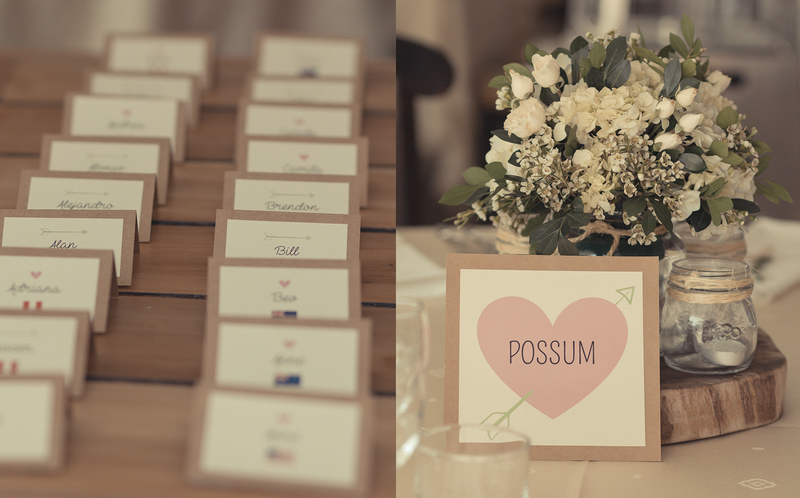 It could be a real headache for the bride and groom to make their seating chart, sometimes they can also argue about it! It happened, I swear!!! For many people it is a waste of time, since they believe that guests will end up seating where they want or asking to change their seat and go to another table for example, if they do not want to keep the assigned seat. Some guests will not like where they are seated and they will be uncomfortable for all the celebration. They will have for sure a bad memory of your wedding. Some guest will find out that his/her seat is already taken, since some other guest took the freedom to change his/hers arbitrarily. This can create awkwardness. You cannot have extra table. 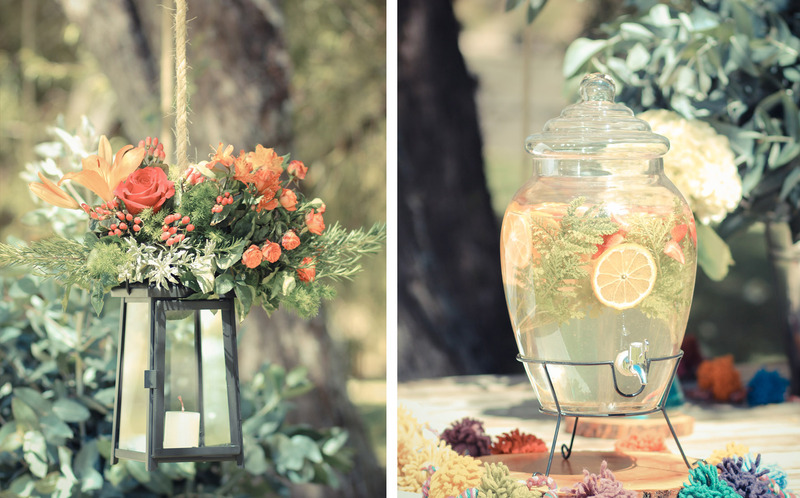 It perfectly works for informal and small weddings. It takes no time to put together, and it is very easy for bride and groom since they do not to sit on a table and start matching people. Your guests will not complain, since they will freely choose where to seat for all the reception duration. It allows people to communicate and socialize more, creating a more familiar atmosphere for your guests. 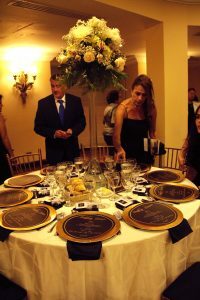 You can have extra table, in case some of your guests come with an unexpected date this can be very useful. It can be chaotic because your guests will not know where to go once they get into the reception area. For people arriving late could be complicated, since they have to seat in the available seats and if they are a couple or a group of people sometimes they have to split apart. 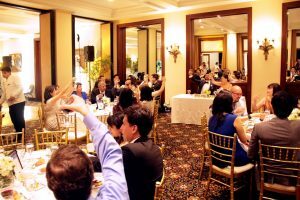 The decision of choosing between assigned seating and open seating arrangement is actually extremely personal because you guys are the ones who better know your wedding guests, what they would prefer, if they are social people or not, etc. It also depends on the kind of wedding you are organizing. 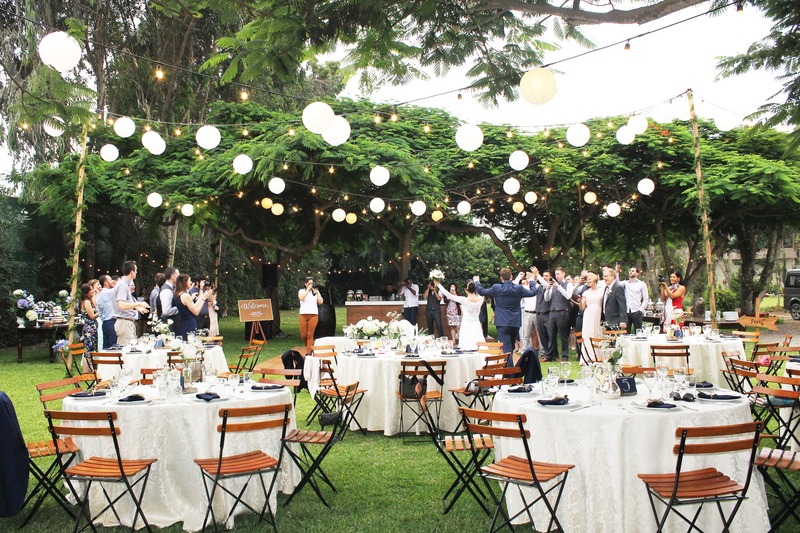 For instance if you are planning a destination wedding having an arranged seating is very useful since you will avoid that people who does not speak the same language ended up seating next to each other. 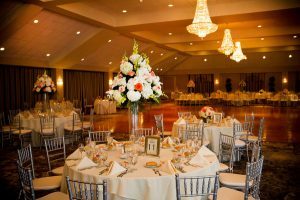 If you are having a small and intimate wedding the open seating is perfect, because people will naturally form into groups and they will take their seat at the tables available. Also lately it is also very common to use a mixed format of open seating and assigned seating. So you can use open seating for group of people that will seat together in any case, such as your college buddies, your group of friends, and you can use an assigned seating arrangement for direct family. Organizing a wedding is not simple; however I actually enjoy doing it, not because I am a masochist, but because I am in love with details! The atmosphere must be exactly the one that bride and groom want and nothing can be overlooked. How do I create a special atmosphere, well…decoration is a big part of it! Using the right decoration details is the key to have a successful wedding. One of the things that should not be overlooked is the chair to be used and its decoration. 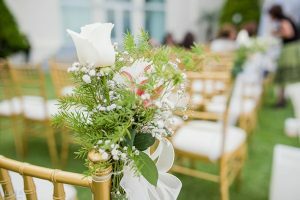 Chair and chair decorations have a very important role, and the decoration elements used need to be in line with bride and grooms’ tastes and colors scheme. Here are 6 ideas for chairs’ decoration that I hope will inspire you. 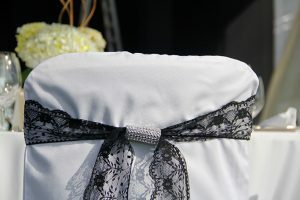 Her we use a black ribbon to décor reception chairs closed with a precios and sparkling elastic band. The lace ribbon really makes the difference and added a special color touch to all the wedding reception setting. 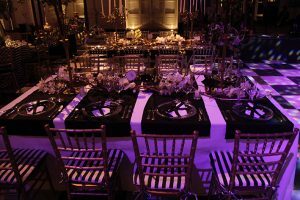 In this wedding I used a combination of different kind of chairs, classic gold chairs for wedding ceremony with black and white striped cushions, gold chairs with black cushions and crystal chairs with white cushions. It was actually a perfect combination. 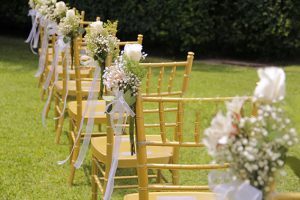 In this wedding chairs were a great value added to decoration and we did not add any details to decorate them, since they already played their own role in the reception setting. Outdoor wedding. This was a very special wedding as it was held just to receive the New Year! One of the colors that prevailed in the decoration was the gold, so I decided to use gold chairs with a little flowers arrangement made of a white rose, gypsophila and a white ribbon. 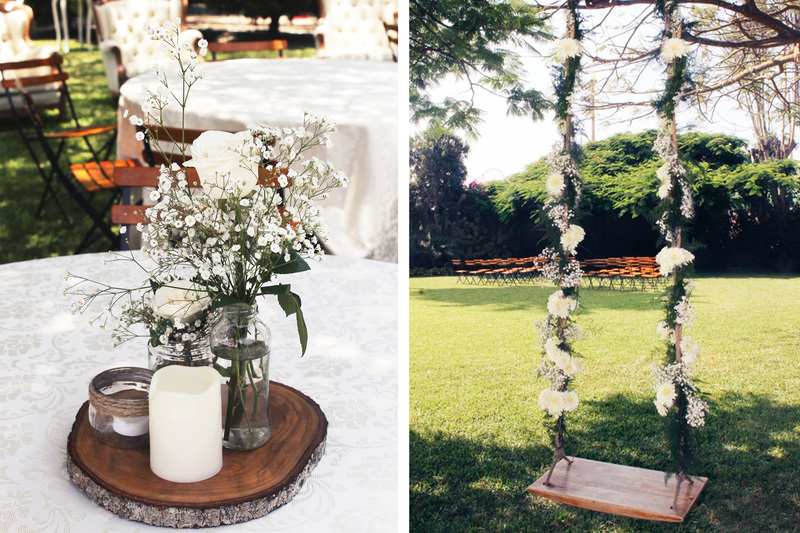 Here I decided to opt for wooden white chairs, perfect for an outdoor wedding in a beautiful hacienda. 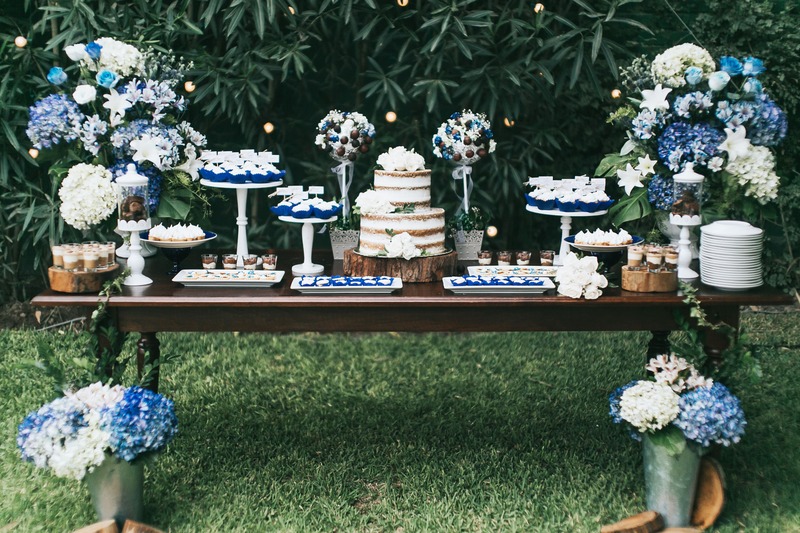 It is recommended to opt for wood especially if you are in a country setting and the reception is for example in a big garden. 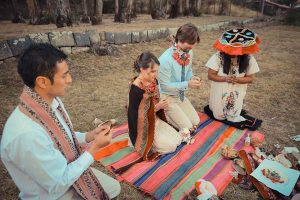 In addition to organizing large weddings, we also arrange romantic and memorable elopements in the most authentic and beautiful places in Peru. 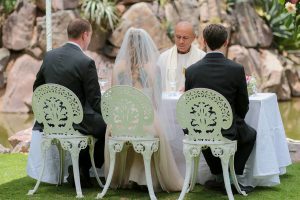 This wedding was held in Cusco and the chairs were a great detail for this intimate celebration, we opt for white wrought iron chairs. So the 2016 is over and it was a great year, full of challenges and successful destination weddings in Peru. Me and my team worked extremely hard to satisfied and fulfill all of our bride and groom’s requests. At Say I Do in Peru we believe that we cannot start a new year without looking back at what we have done so far and making a point on what we have done well or wrong, what we have learnt and what we have achieved the past year. In 2016 we have learnt that there are no obstacles impossible to overcome and we actually worked hard to achieve our couples wedding goals. We have learnt that each couple is different, each couple has their special point of views and it has a special way to deal with the wedding planning process. I have grown up a lot this year personally and professionally and I am extremely proud of what I have achieved and the wonderful weddings I have planned in Peru’s most amazing destinations! 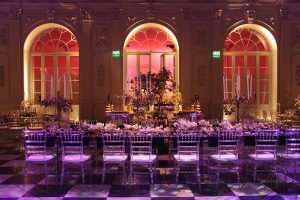 The idea of this article is to collect the best moments, details, decorations of our 2016 weddings and it is indeed an opportunity to make you people understand what is my work about! 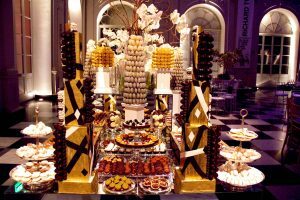 So here the most amazing sweet table from a wedding I organized in November, with French macarons, decorative macarons towers, chocolate truffles, tarts (lemon, chocolate, pecan), traditional “alfajores”, a Peruvian sweet filled with “dulce de leche”, and much more. 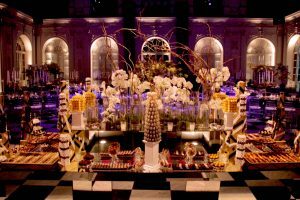 This special table, placed at the entrance of the reception area, was decorated with white orchids, glass vases filled with water and white candles, the impact was awesome and the sweets were deliciousssss! 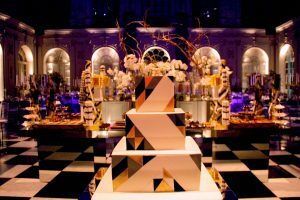 The theme of the wedding was Art Deco so the decorative elements added were in line with it, therefore we can see geometrical patterns structures, black, white and gold color scheme and white orchids, the bride’s flower choice for the entire wedding event. Here the most amazing scenery of 2016, this picture say it all. 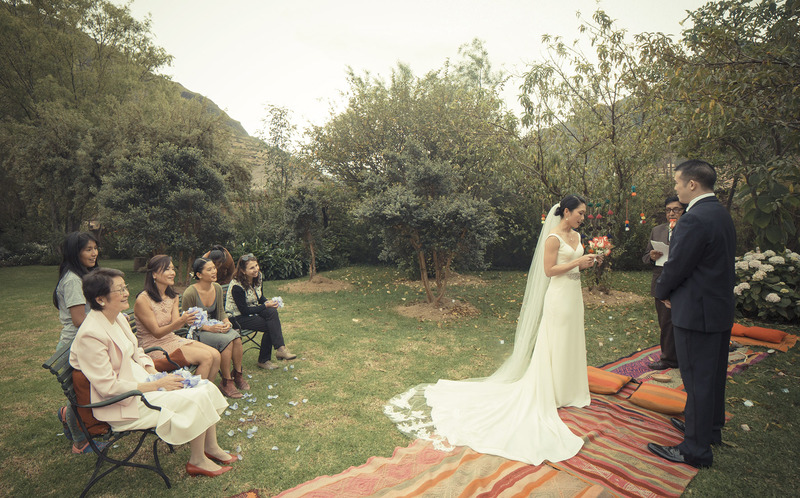 This is an elopement in the middle of the Sacred Valley of the Incas, organized in a beautiful property nearby the Urubamba River. 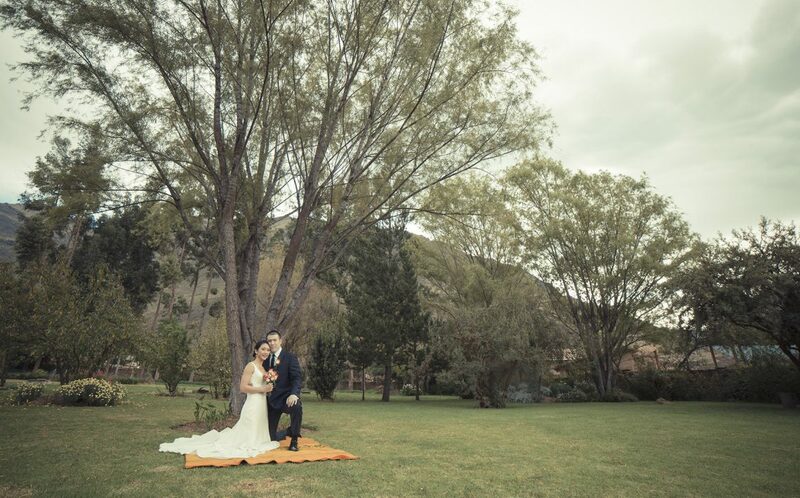 We found this stunning venue for this lovely couple after a visit in the area and we felt in love with this colonial church and the beauty of the well-maintained grounds. On top of that, the presence of the Andes makes this venue even more charming. The tent structure was actually really simple, since the aim was to preserve the beauty of the place itself. 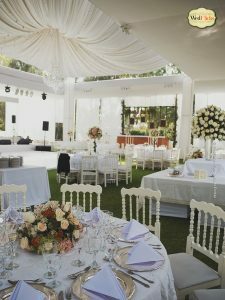 We add few flower decorations on the tent and we opt for this elegant white wrought iron chairs. The result was amazing, as you can see. Here the most elegant ceremony tent for this couple who wanted to get married in a beachfront location. 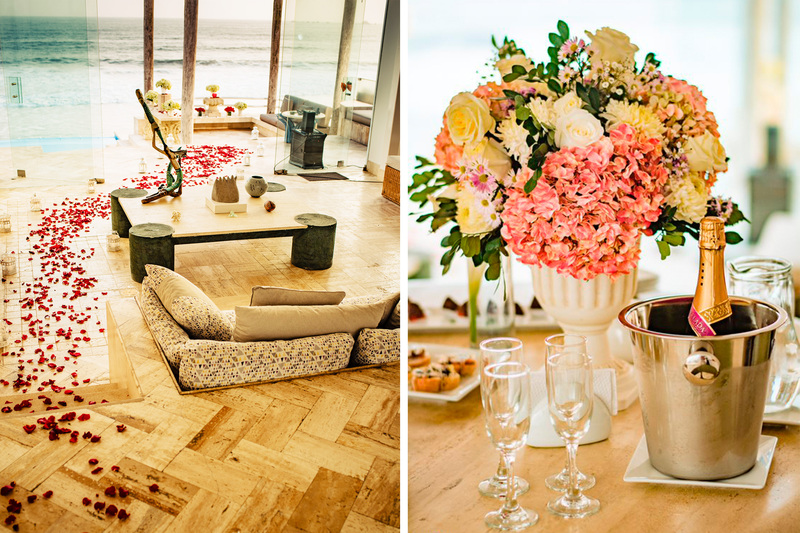 We selected Paracas as destination and it was easy to create this elegant and sophisticated wedding atmosphere there. White, light grey and taupe were the main colors for this wedding celebration by the Pacific Ocean. 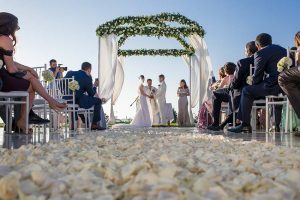 The white chairs, the elegant chair decorations, the white petals on the aisle and the white and greenery tent give the setting a magnificent elegance, enriched by the Ocean breeze and the light blue clean sky. This is without doubt one of the most amazing wedding shot of 2016, we love the symmetry of the elements and how the colors combined with the background. 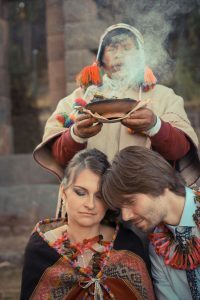 This snapshot absolutely summarizes what an Andean wedding is, what are the mysticism and intimacy behind this kind of ceremony and the brightness of the colors of that moment. 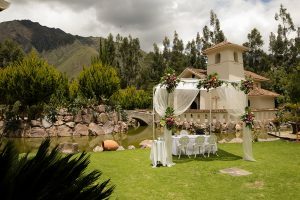 The venue selected was located in Cusco, it was a ground area rounded by Incas walls, a very quiet place, ideal for this kind of intimate ceremony. 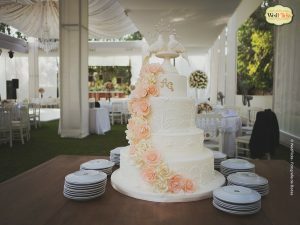 The wedding cake has always a special place in a wedding celebration, it is a decorative element so it needs to be beautiful, but of course it also needs to be delicious! Here one of our favorite from 2016 wedding, this wedding cake was actually an art piece, with the perfect flowers decorations and the two doves as topper, to represent the romance and kind of the bride and groom’s love. In Greek mythology doves are associated with Aphrodite, the goddess of love, who was always depicted with doves fluttering around or on her arms; we really loved the romance and the idea beyond this unique wedding cake. 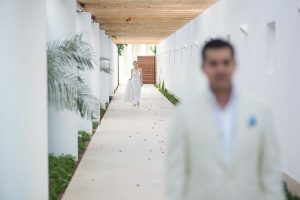 We also loved this romantic entrance of bride and groom to the hacienda we selected for their wedding. 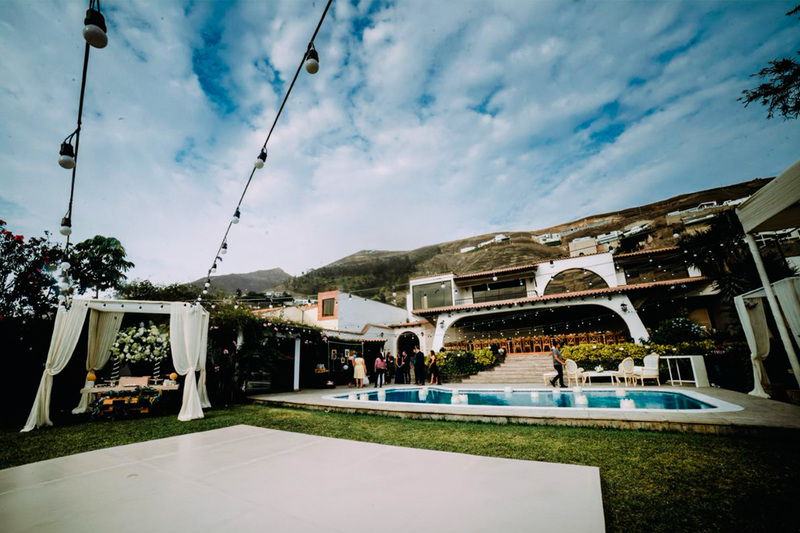 This was a beautiful country wedding nearby Lima and we loved how all the rustic and country elements combine between each other to recreate the perfect atmosphere of a Peruvian Hacienda wedding. 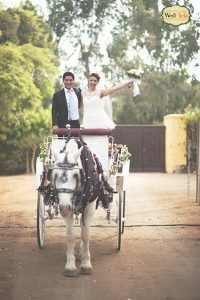 This white carriage was the cherry on top of the cake, and all the wedding guests were totally amazed by the beauty of the horse and the carriage’s flower decorations. 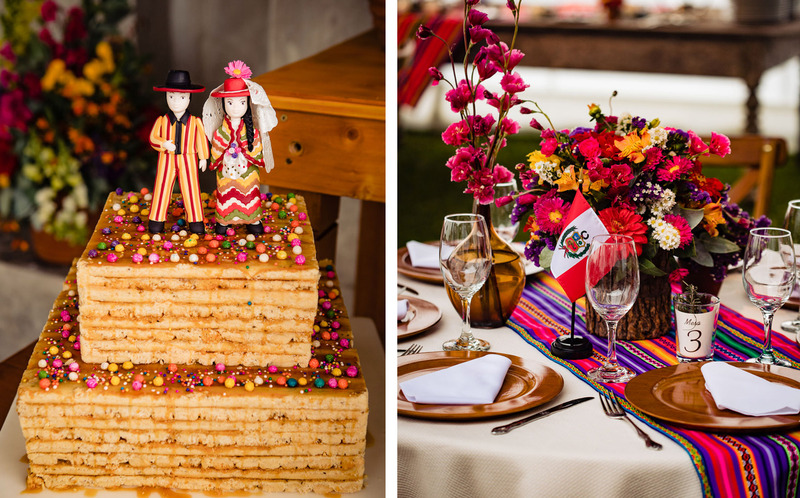 Getting married in Peru is a magical experience; this is a country full of history, extravagances and damn good food! 😀 What better way to surprise your guests than giving them a little welcome gift with special products from Peru? 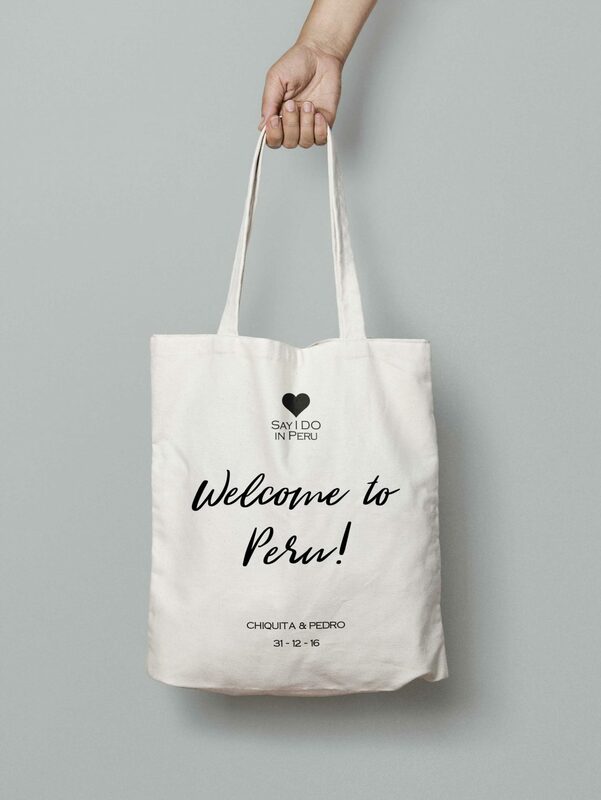 A Welcome bag is indeed the best way to let them know Peruvian products and let them merge in the Peruvian atmosphere. After a long journey all you want to do is to lie down in a comfy bed, but on the other way you are also very curious to start exploring this new place and to know more about this country that probable you have never visited before. 1.Water: it is always useful to have a bottle of water, especially if you are attending tours or other activities, so it is essential to include one in the welcome bag. A key rule for any travller is “stay hydrated”, this way you will avoid headaches and you will overcome jetlag. You could also customize the labels! Peru is home to 60% of the world’s cocoa species and is one of the main producers. 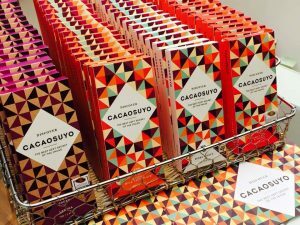 The Cacaosuyo brand, works directly with farmers and indigenous communities and produces fine white cocoa chocolate that is grown in the region of Piura – Peru. He is also recognized in The International Chocolate Award of London as one of the winners of best milk chocolate. So this is a great product to include in the welcome bag for your guests. 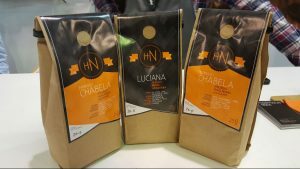 3.Coffee: Coffee is one of the most exported products of Peru, and if we had to choose one we will suggest without hesitation the one by Harry Neira! He has been investigating and collecting the best coffee beans for over 8 years. The aroma of this coffee wil amaze you and your guests. 4.Snacks: You are on holiday so having a little snack is allowed! 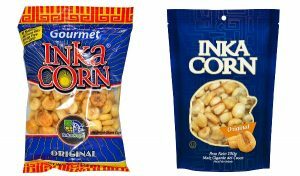 So just dare to enjoy something different: Peruvian giant corn! This product, besides of being delicious, provides fiber, helps digestion and is gluten-free! 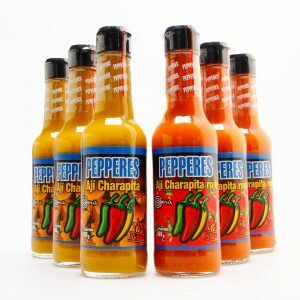 5.Yellow Pepper based sauce: One of the essential ingredients of Peruvian food is the yellow aji Pepper, used chopped to prepare traditional dishes or also to prepare aji pepper sauce. 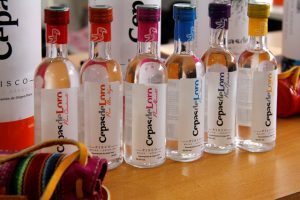 6.Pisco: You should definitely include a little bottle of Pisco, your guests will need to start familiarizing with the Peruvian spirit! You can customize your own Pisco bottle with your names and the date of your wedding or even with a picture. Your guests will enjoy it for sure! Cheers!